~ Enjoying life. 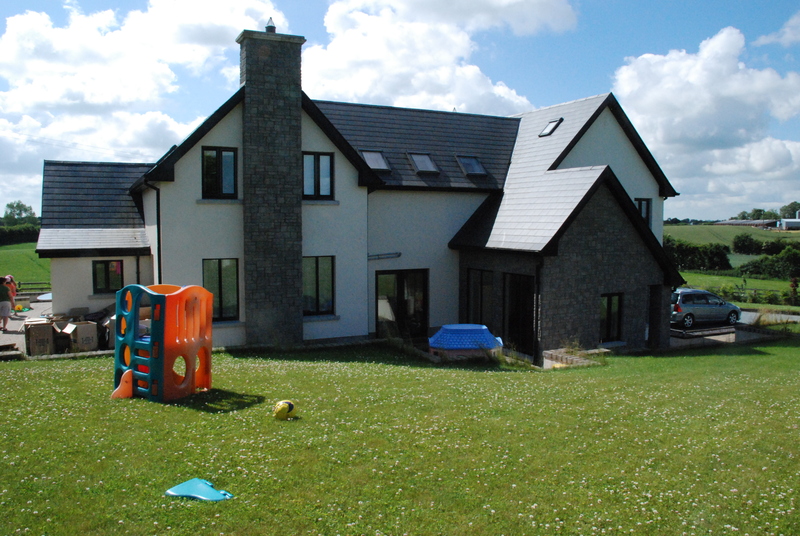 In Ireland. With my family. 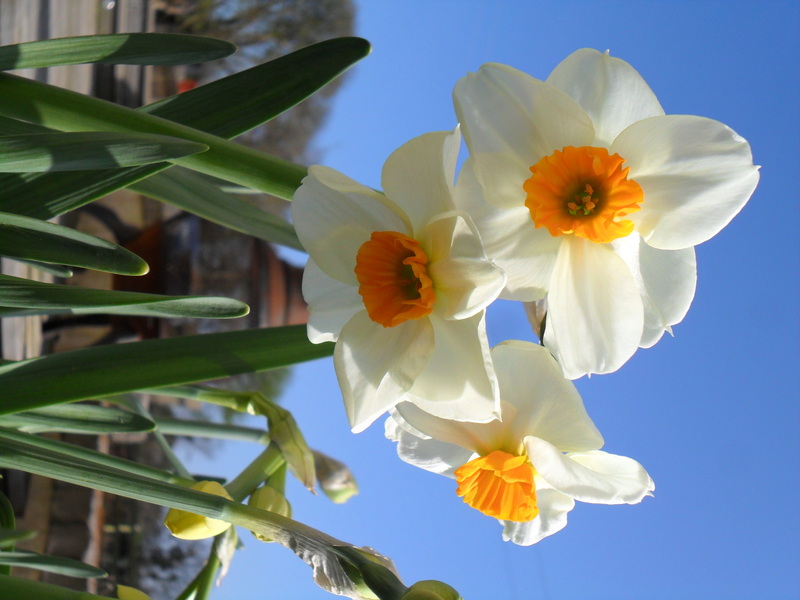 Fragrant and pretty daffodils to calm a hectic day. Busy. Boy do I feel busy. There’s kids’ activities, shopping, cleaning, more kids’ activities, gardening (if I’m lucky), oh and the swim coaching course I’m taking (must finish up my homework before class this weekend!). This week seems a bit more full than usual. Deep breath in, hold, and exhale. I’ll just have to take it one day at a time. The weather has been so glorious this past week. That’s part of the problem, actually. With such good weather I want to spend every minute outside in the garden. But my schedule has other plans for me right now. So I take what gardening time I can get. 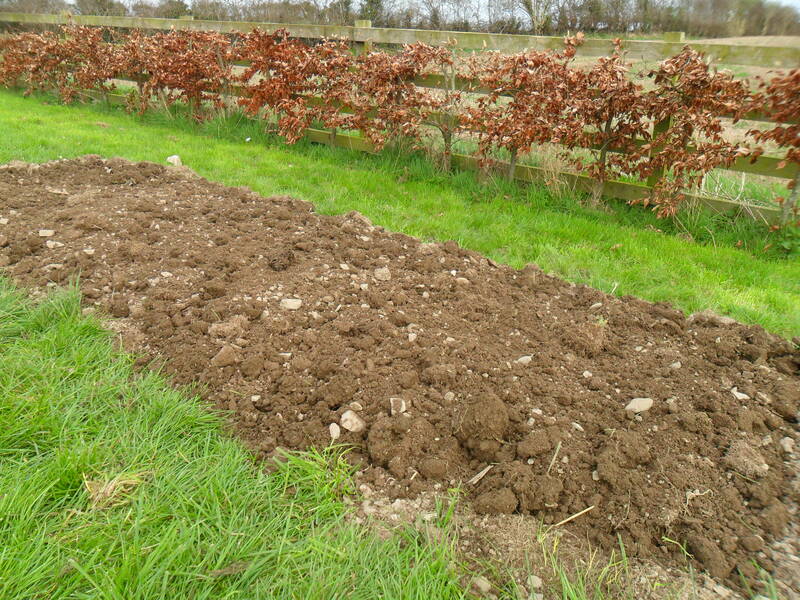 Today I managed to cover my second plot for potatoes with soil. I was very happy to be able to cross that off of my list! Do you remember the containers outside of my kitchen window? 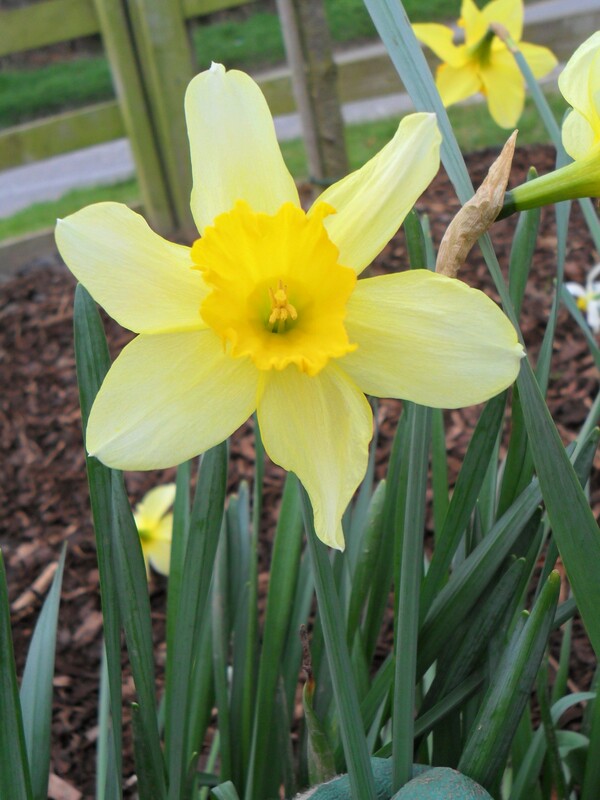 The daffodils are finally blooming and they are so pretty! They are a little unusual and fragrant, too. Little rays of sunshine to compliment the wonderful weather we’ve been having! I was glad to stop and smell the “roses”, and photograph them too, of course! 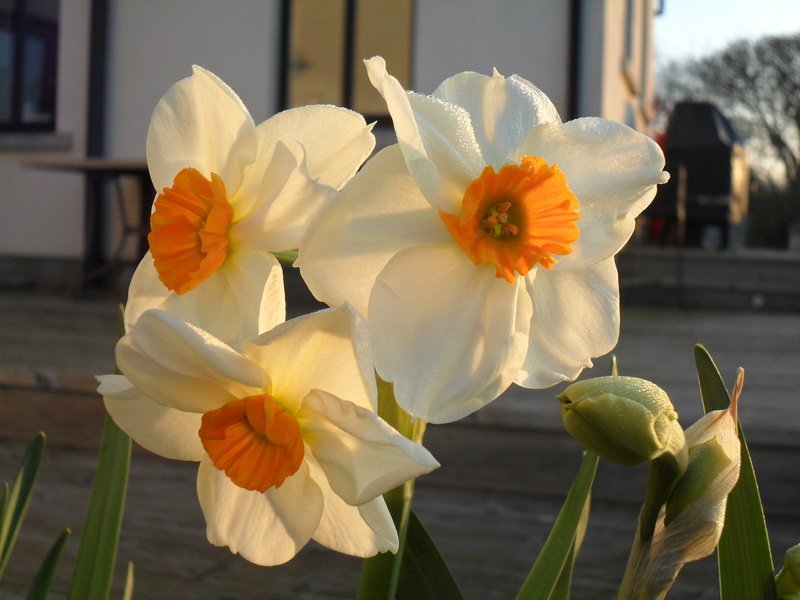 I hope you have some sunshine in your garden! 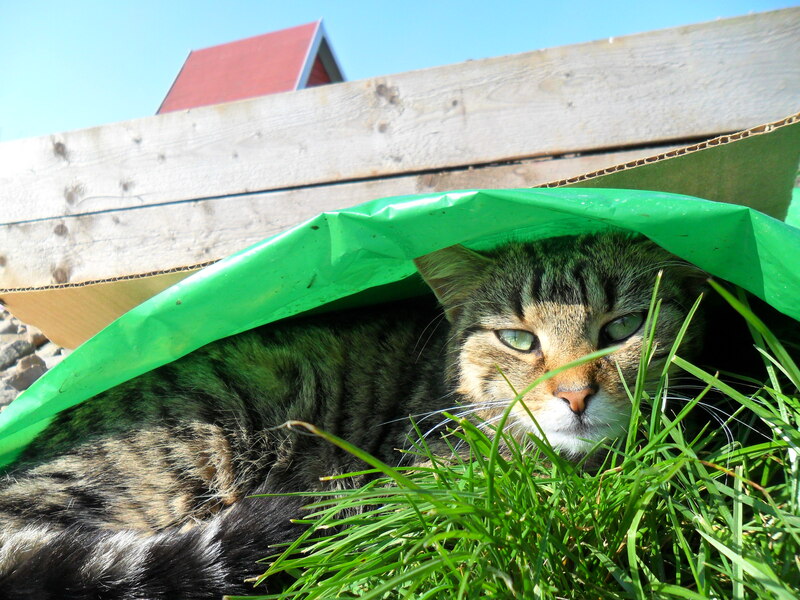 Lucy relaxing under the plastic from stone pathway between the raised beds. 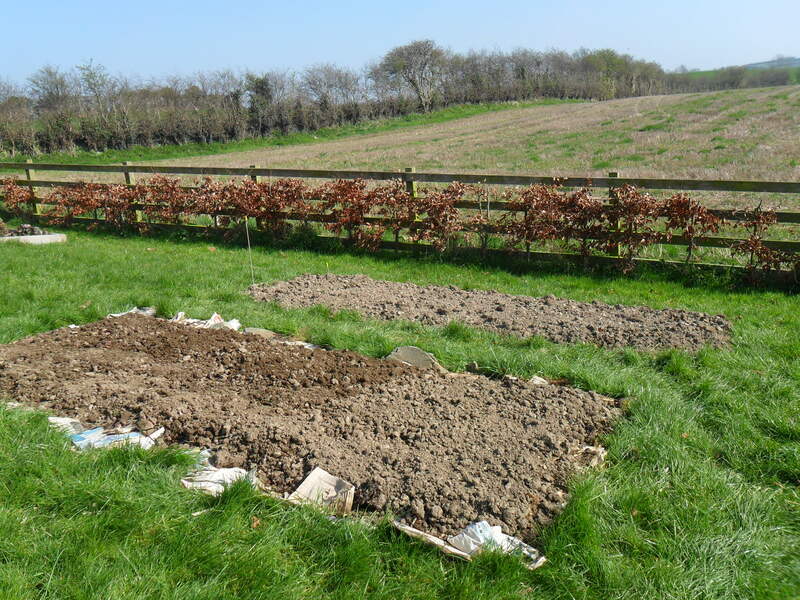 The potato bed that I covered with soil today (bed in front). 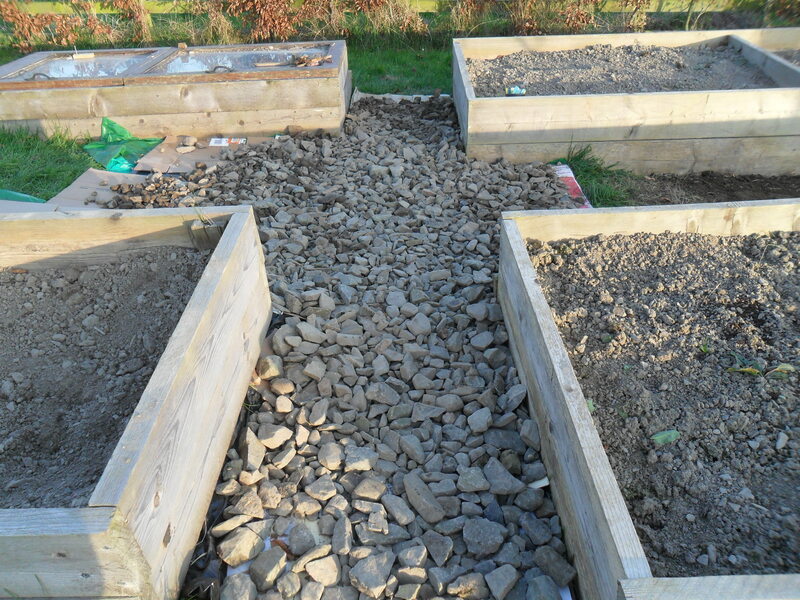 A stone pathway between raised vegetable beds. Sometimes it takes doing things a few times to get it right, don’t you agree? Last year, we put together raised beds, threw in some soil, and off we went. “Learn as we go” mentality, or maybe “fly by the seat of our pants” would better describe us. 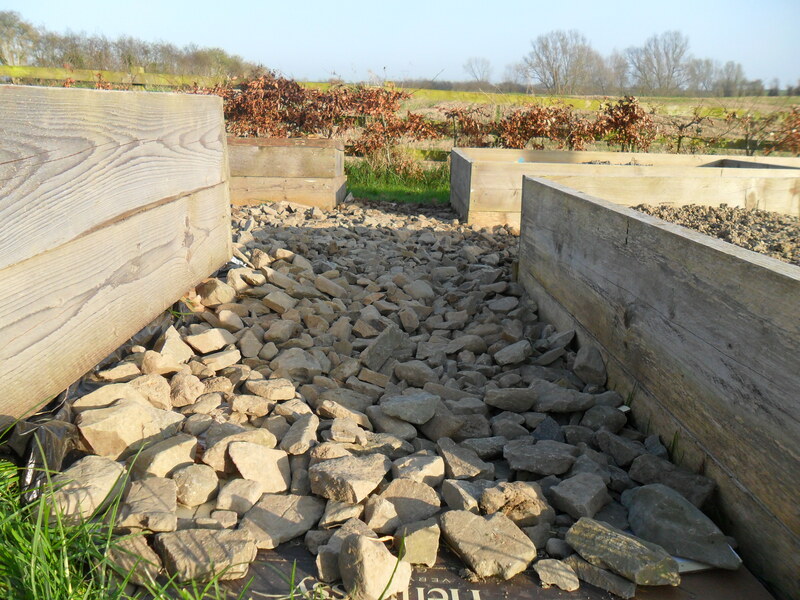 As the soil settled in our raised beds, we began to remove the stones. We didn’t really think much of this process, and kind of just tossed them. That’s right, anywhere. Pretty quickly we realized that there were way more stones than we’d realized. So we dropped them between the raised beds. 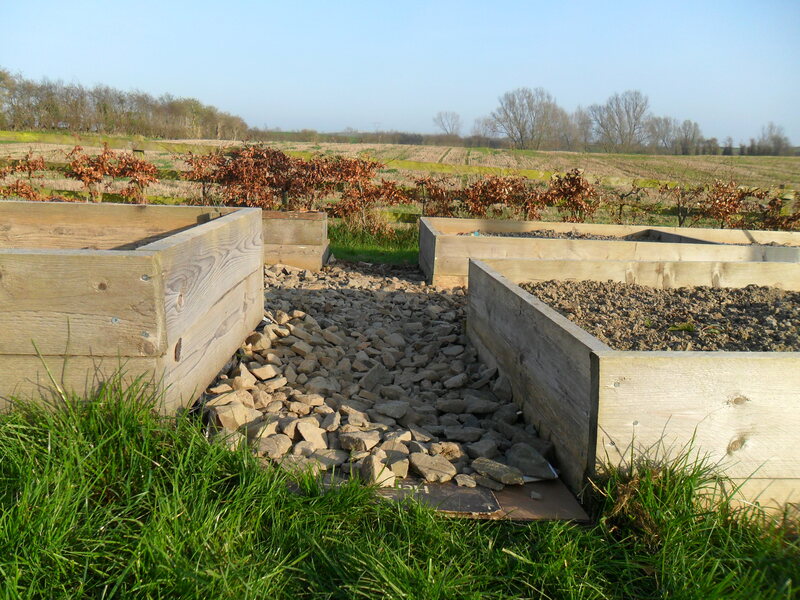 I thought there would be enough stones to just lay in between the beds all nice and neat. I was hoping they’d kill the grass and look great as well. I mean, there were a lot of stones! But that’s not exactly how things worked out. The pile ended up being a heap, and the grass managed to grow over the heap. It wasn’t pretty, and it was rather awkward to walk on. It was so bad, I didn’t even take a picture of it (and I photograph just about everything)! You may notice a theme throughout my gardening. Frugality. That’s right, I’m looking to save money where I can. Why buy gravel when I’ve got three million stones right here in my soil? I needed to find a way to make this work. For the past week I’ve made “the stones” a little project for my kids. 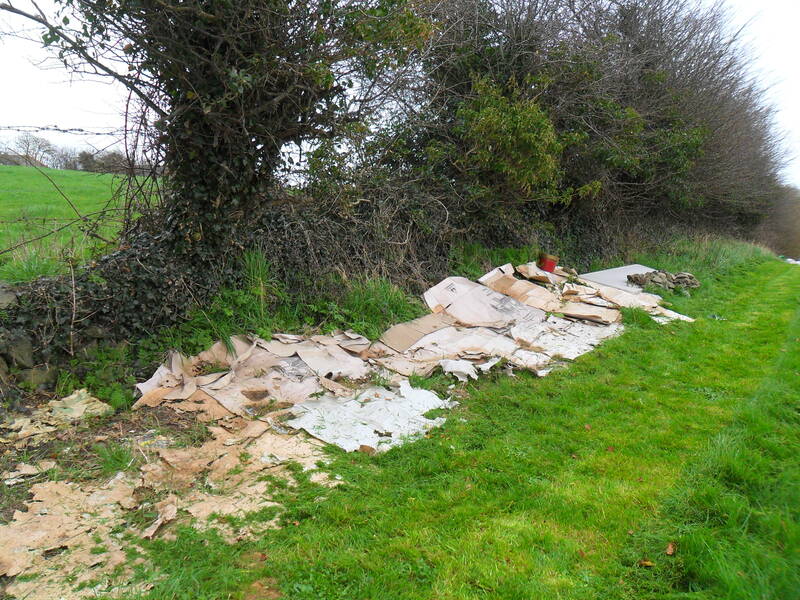 I threw down some cardboard and asked them to move the stones from the heap to the cardboard. This was turning out to be a painstaking process of trying to cajole them into moving more than 10 stones in the five minutes that they’d dedicate to helping. None of us were happy with the stones. Today I made the time to really look at the project and see if this was going to work. I decided that I wasn’t going to take any chances with grass coming through, and I put down plastic under the cardboard. Oh boy, this meant moving the stones that were moved this past week! I guess it was good that the kids hadn’t gotten too much done! I had the help of my two girls today, and I have to say they really did a great job. They alternated between shifts of moving stones and jumping on the trampoline. I’ve never seen them keep such precise track of time before! This worked well for us. We managed to clear all of the “heap”! My daughter exclaimed “Daddy is going to be so impressed!”. Funny, she must have been reading my mind. The project isn’t completely finished. I need more plastic and cardboard, and actually more stones, too! But with all of the new soil I have, I know I have more than enough stones to fill the gaps. 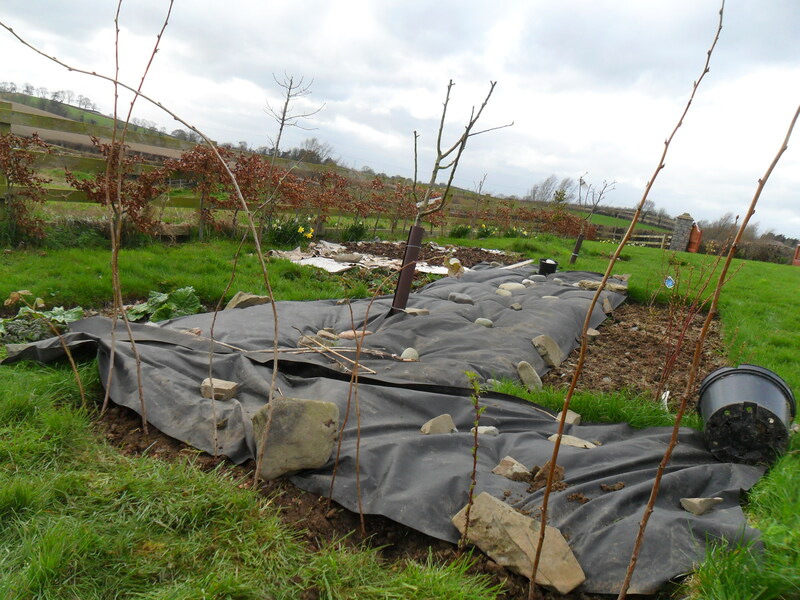 One of the paths between the beds is tidy now. This is where we had the “heap” of stones. It looks nice when you can’t see the plastic and cardboard. Great motivation to get the job finished! There are a lot of stones. Making a flower bed, one bucket of topsoil at a time. 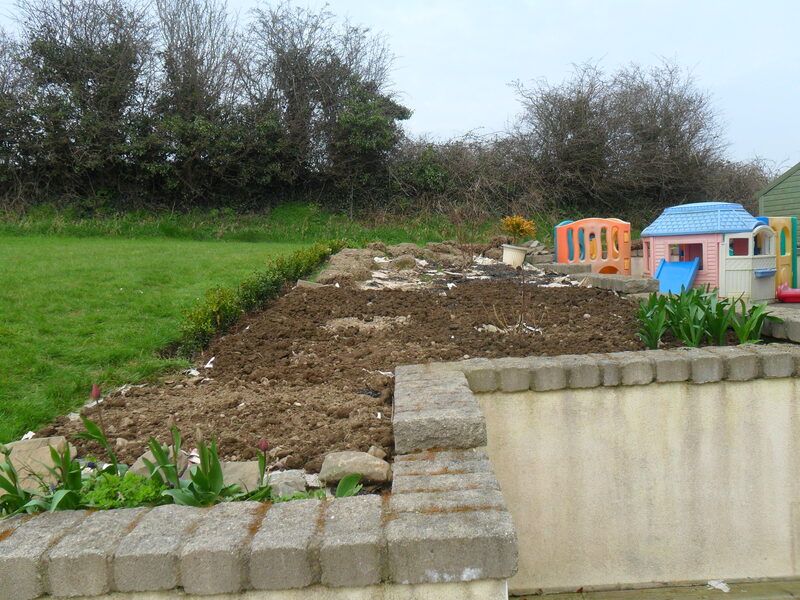 Ever look at a garden project and just think “no way”? Or maybe the project is there, patiently waiting for your attention, yet the thought of tackling it is a bit overwhelming? Well I’ve had those thoughts! Lots of them. That might be because I have grande plans for our garden! But nothing is going to happen if I don’t get started on it. It all happens with small steps. Dreams are a good start. I have dreams about what I would love to see for my garden some time in the future. I also collect pictures in gardening books and magazines. I recently (as in last night) came across a picture that I saved from years ago. My 12 year old daughter actually laughed at me, since the garden is seriously amazing, and she thinks I might be a tiny bit crazy! There are three pages of pictures of this garden. It really is beautiful! I love it as much today as the day I first saw it. The design fits nicely with what I have been planning for our garden. Now to just get my husband on board! One tree, shrub, and flower at a time! 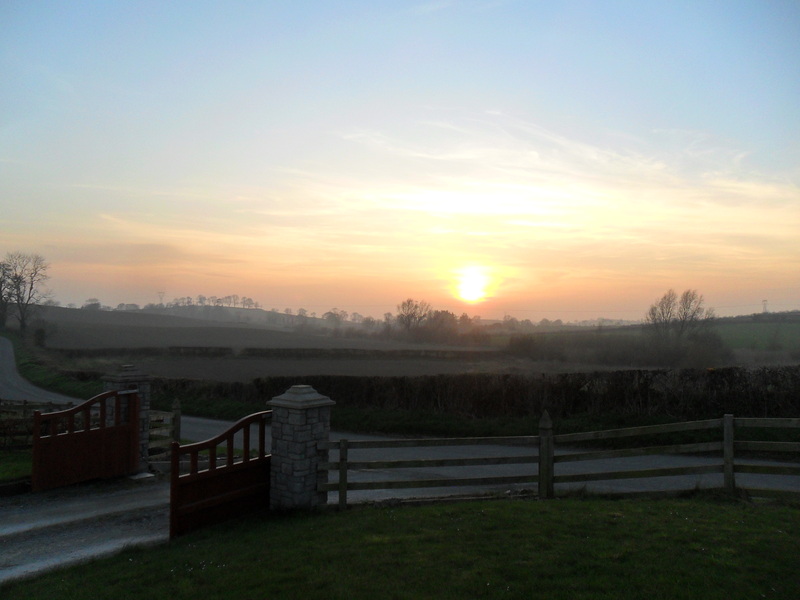 The pictures below are before and after views from the front of the house when we first moved in (you can see some of our moving boxes!) 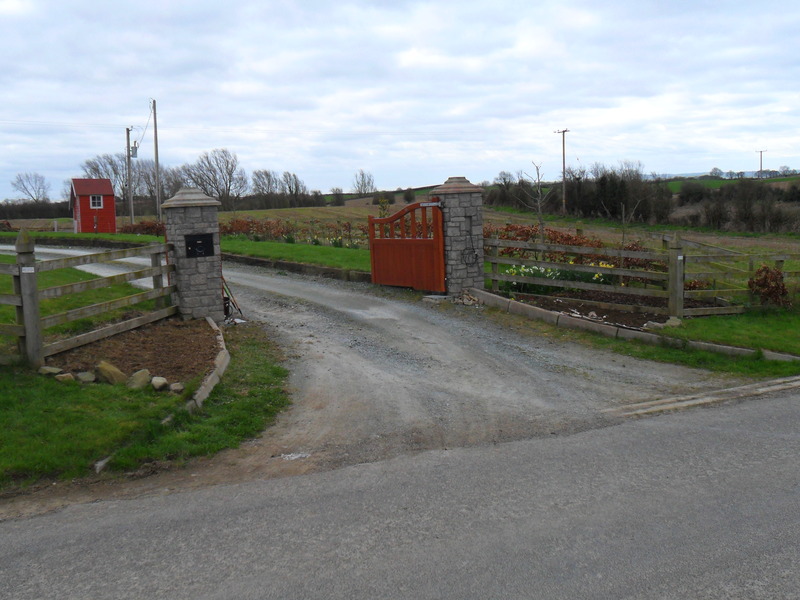 and the two work-in-progress gardens that are, well, still a work-in-progress. What you can see is (a big mess!) weathered cardboard, seaweed, and turned over grass from where the boxwood was planted. 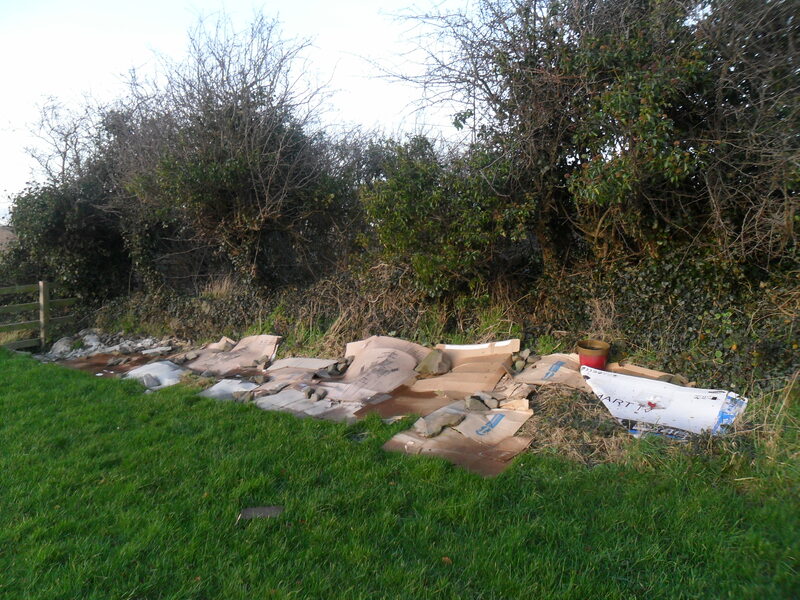 In September we placed the cardboard and newspapers where we wanted to kill the grass. Yesterday I laid down more thick layers of newspapers before putting down the soil, just as a precaution, to keep grass away. That garden already has a small Japanese Maple tree and a hydrangea (I don’t know the variety, unfortunately) and some Allium which I planted in October, so I haven’t seen them in their glory yet. You can also see some tulips coming in to bloom. This week I was also working at the front gates. We planted a couple of Hostas there last year, but this year I’m hoping to give them some attention, and hopefully some more plants to keep them company. I hope if you have a big garden project which you’ve been avoiding, that you’ll be motivated to dig in and get started with it! Here is the bucket I used to move the topsoil Patrick delivered to us. 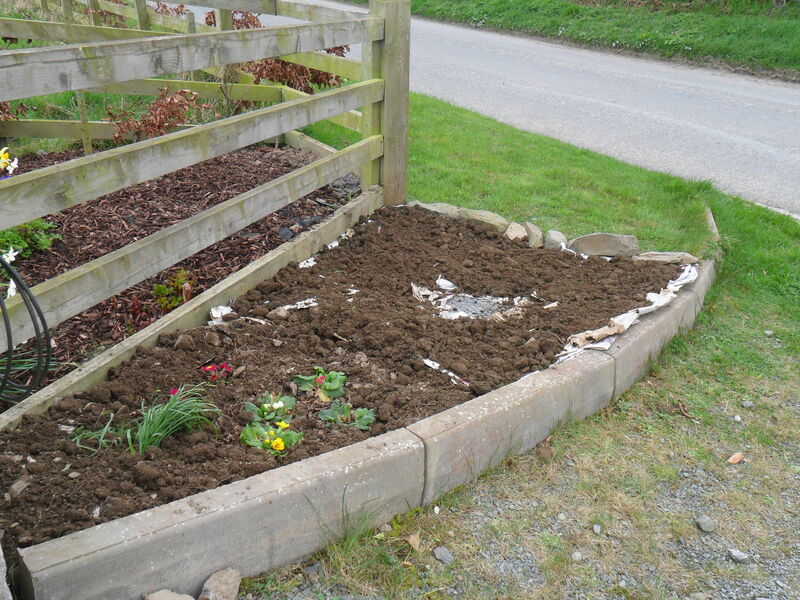 I should have taken a picture of our desperate wheelbarrow – we are in need of a new one! But for me, it was easier to work in small batches (both mentally, and physically!). 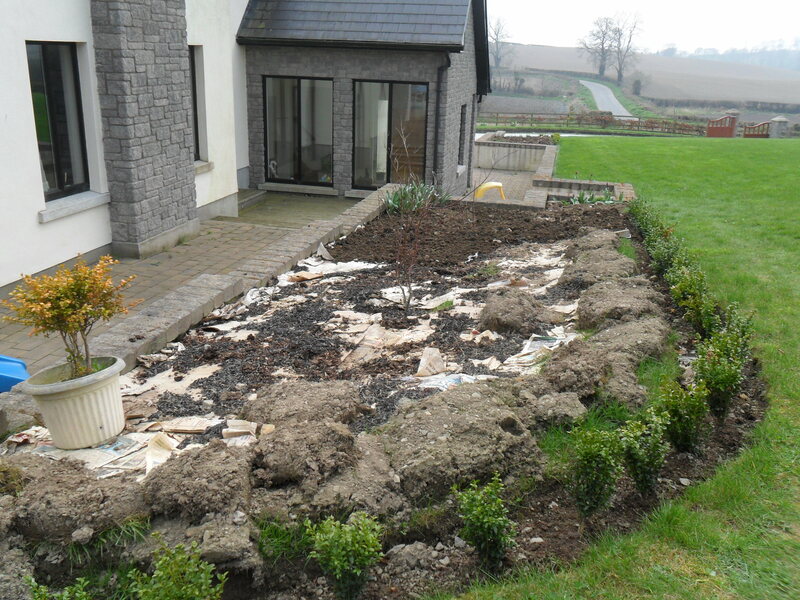 This is the front of the house garden in progress. The potted boxwood plant was just placed there to keep newspapers down. It is patiently waiting to be planted. Not all of the grass was covered with cardboard originally, which you can see peeping out. 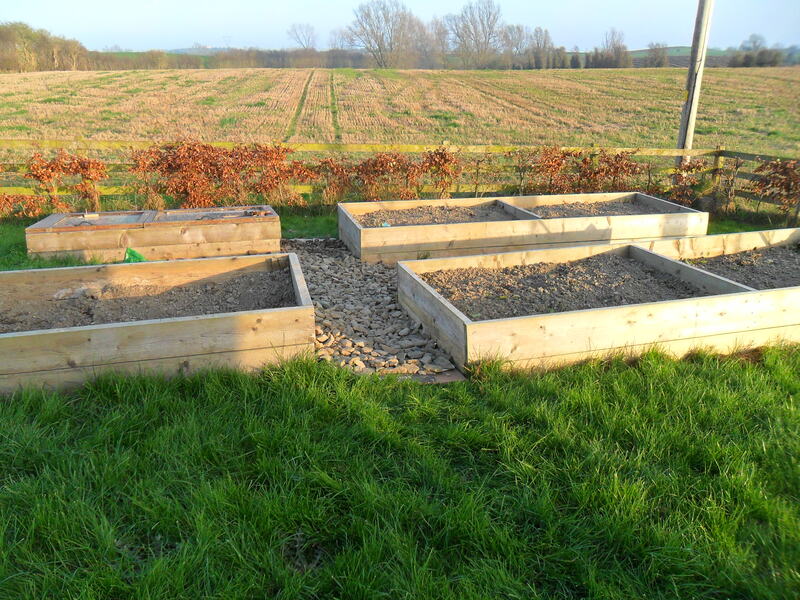 I managed to cover about 1/3 of the garden with topsoil. 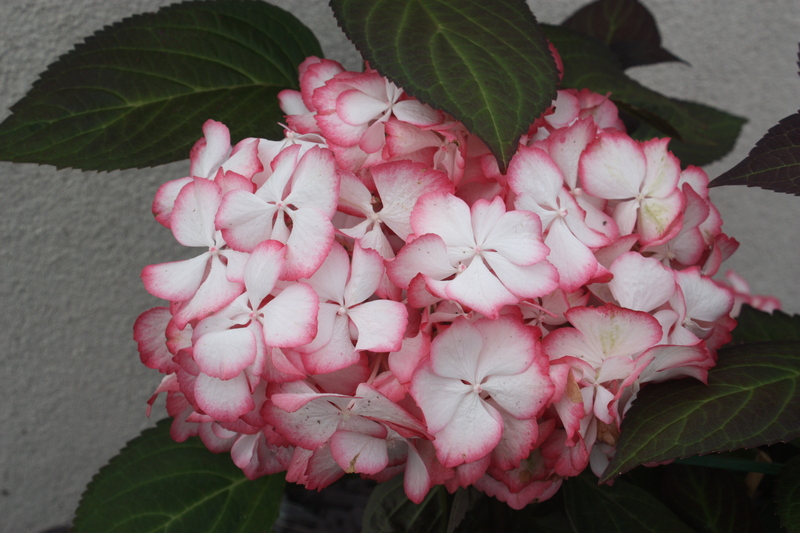 Pretty hydrangea. 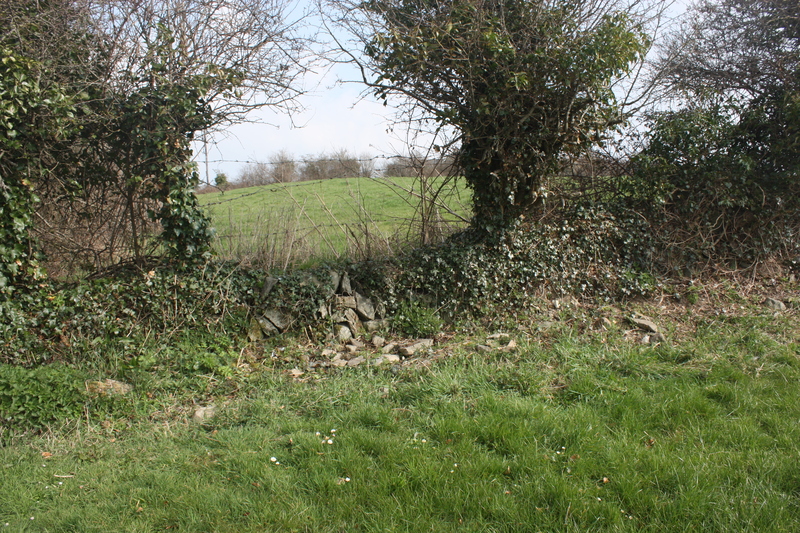 The picture above shows more of the covered rock wall, through the Hawthorn, ivy & brambles! Two Hostas live on the left. They aren’t visible just yet. The water main cover is in this garden. 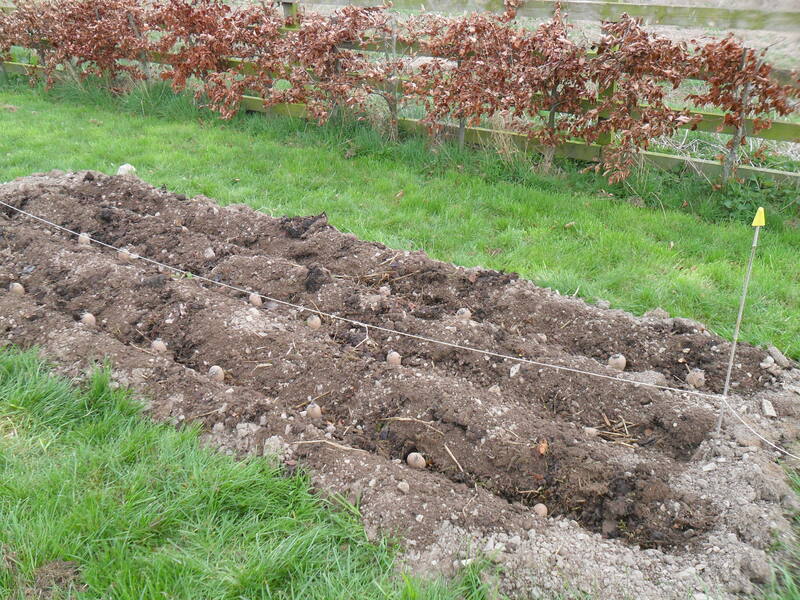 Planting early potatoes … and raspberry plants. Yesterday was such a wonderful, sunny, glorious day! It was a mild 11 degrees Celsius (52 degrees Fahrenheit). It just happened to be Mother’s Day in Ireland, and I was in my glory working in the garden with my husband. Our kids were a big help, too. Sometimes, though, the pull of the trampoline was simply too great for them to resist. We worked on the rock wall… again. That wall is going to be a long term project! I’ll show you pictures as progress is made. 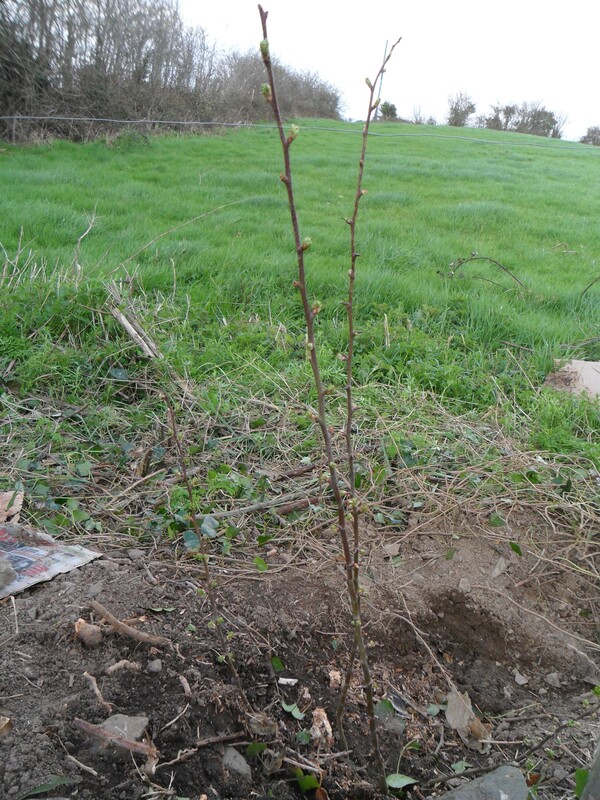 We planted a very young Hawthorne at the wall where one of the old trees is very much dead. My husband has been impressed with all of the work I’ve done on the wall. Honestly though, last year when I had cut down and moved piles of brambles which were taller than myself, he had thoughts that his wife had totally lost her mind. I think finally being able to see the wall has been a great motivator for him to join in the fun! Today, Monday, is a bank holiday following St. Patrick’s day on Saturday. Yay! More time in the garden with my husband! I really am thankful for his help. 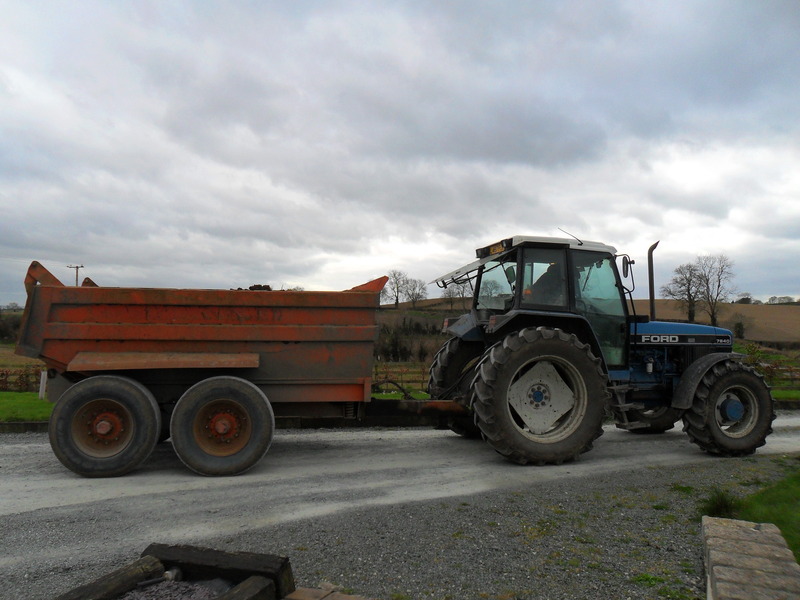 Another “top guy” is my husband’s brother-in-law Patrick, who delivered a (huge) tractor trailer of topsoil to us today! I am so lucky to have a farmer in the family! The soil looks fantastic! 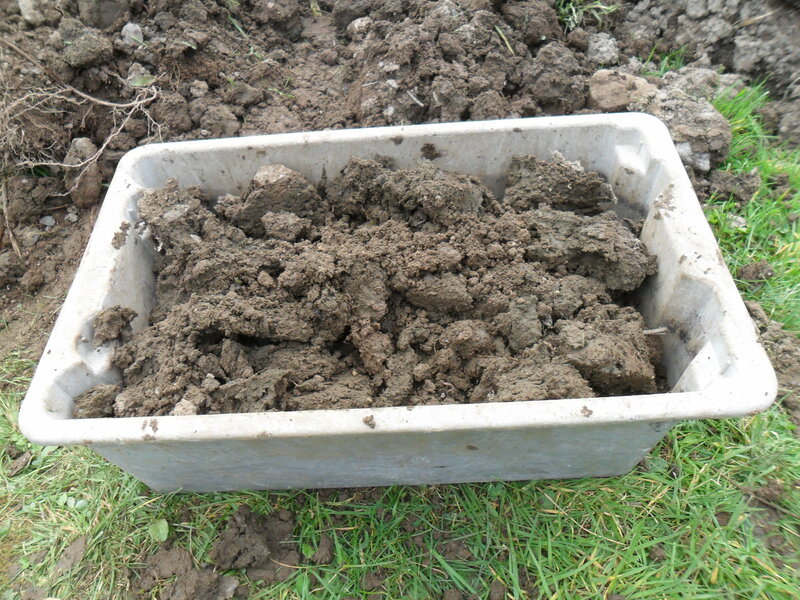 With this soil we were able to plant our Colleen early potatoes. I have quite a few ideas for where I’m going to use the rest of the soil. All in good time. I have had the Colleen’s on the counter in my laundry room where the temperature is cooler. They were sitting in egg cartons, sprouting, for about 3 weeks. My husband dug trenches about 6 inches deep in our preplanned “spud” area. We placed the potatoes, sprout side up, every 12 inches. 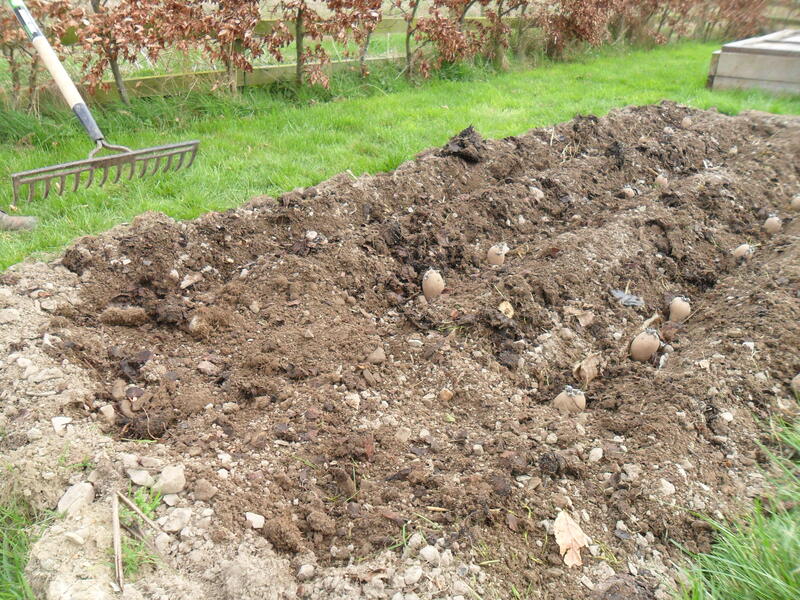 Then we just raked the soil back over the spuds (carefully so as not to damage the sprouts). 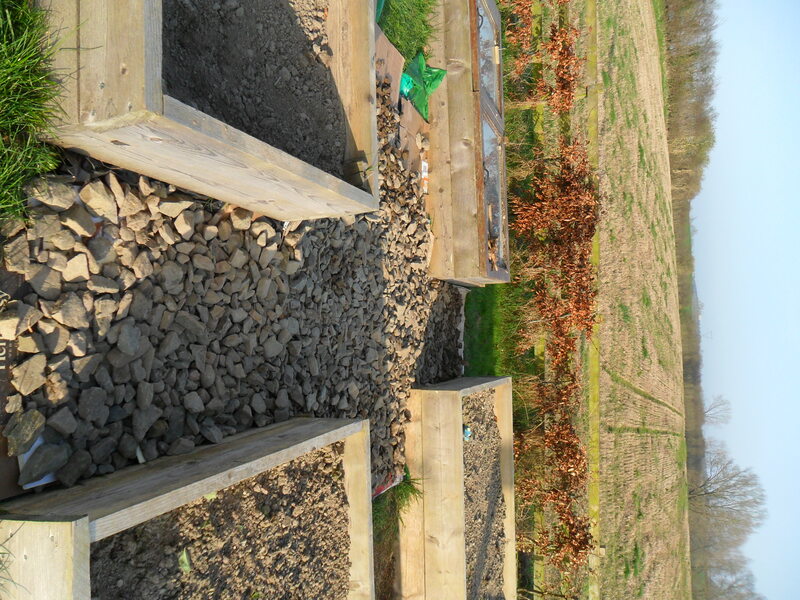 We added some new soil on top as it just needed a bit more on top of the compost & soil that was already there. After the plants grow to about 8 inches (20 centimeters) in height, I’ll cover them to about 2 inches from the top with more soil. 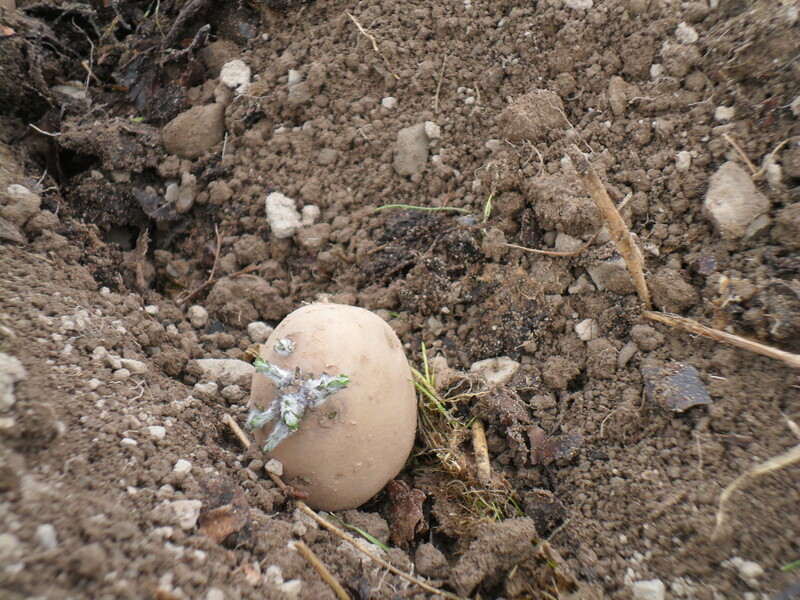 Everyone says it is easy to grow spuds … we’ll see! 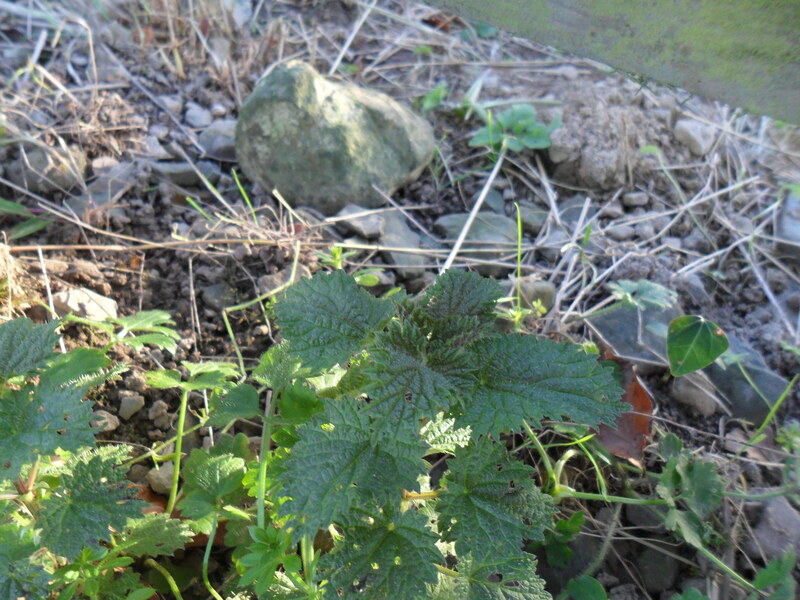 In addition to planting the potatoes, we planted some raspberry plants which my neighbor James gave us. Yes, that’s the same James who gave me the manure! The canes were nice and sturdy. He had his raspberries lovely and neat with rope to tie them steady. We had some raspberry plants that didn’t survive last year. I’m hoping that after adding the manure earlier this spring, the conditions will be more conducive to success! 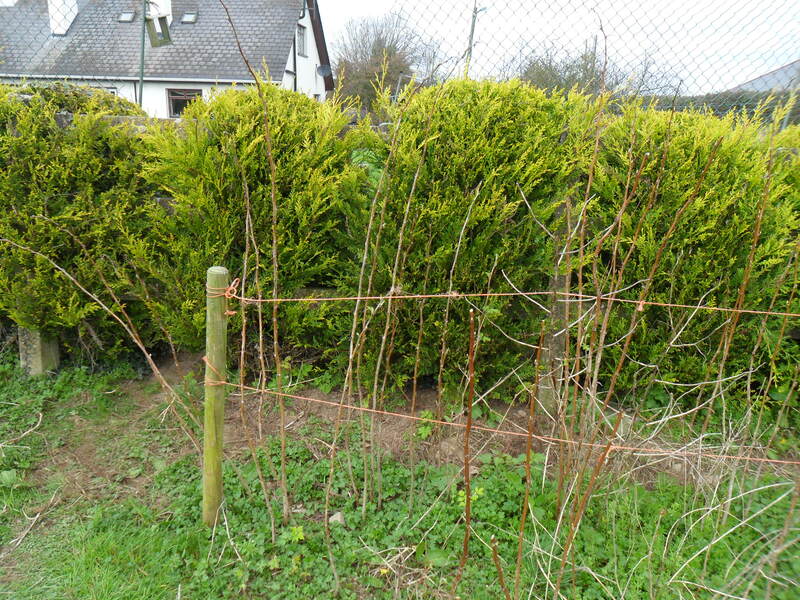 We used tomato stakes on the canes, planting them about 12 inches apart. The soil should be somewhat acidic, and well drained. Ideally, it should be somewhat sheltered. That might be the hardest part for our plants. Since I was outside with my camera (of course! 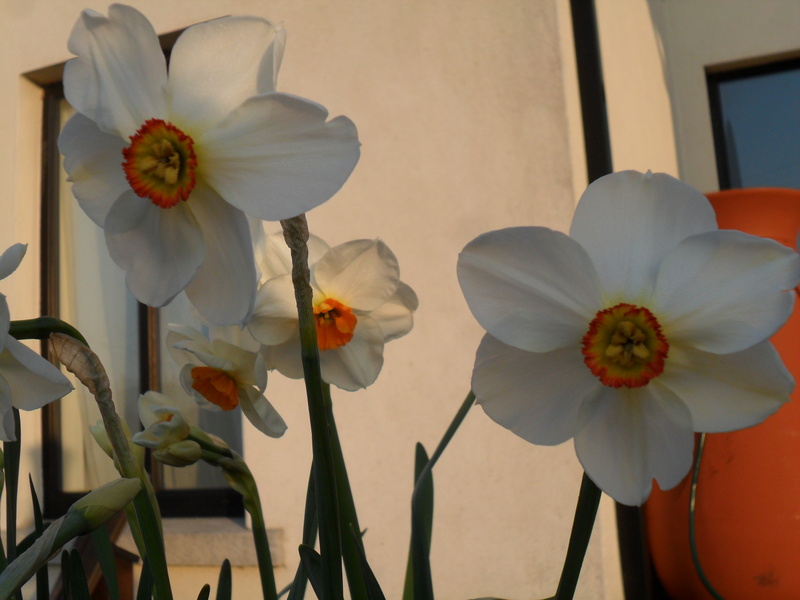 ), I had to take some pictures of what’s happening in the garden. 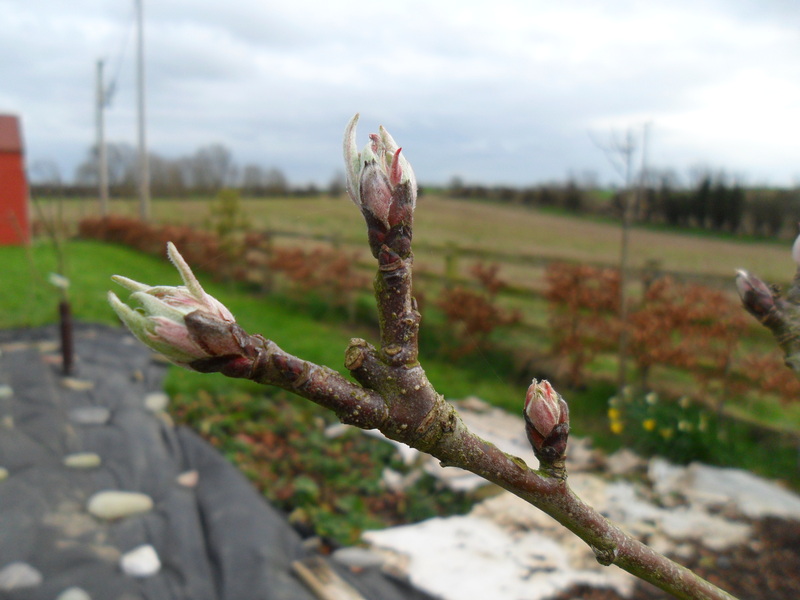 There are some pretty little flowers forming on our apple trees. It’s always hard to imagine the flowers forming when we just pruned them a month ago. It is so lovely to see! 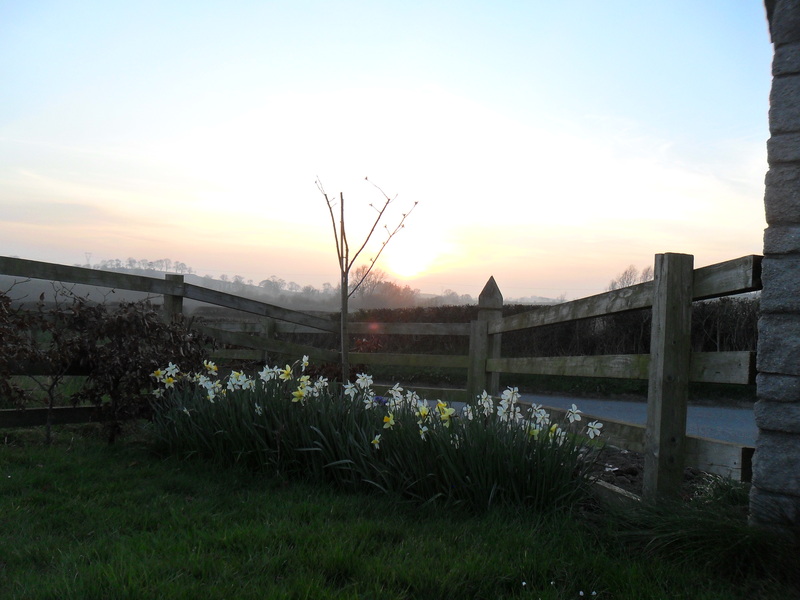 Our daffodils are rather droopy after the heavy rain & blustery wind we’ve had. Even still, the yellow color is enough to add cheer. 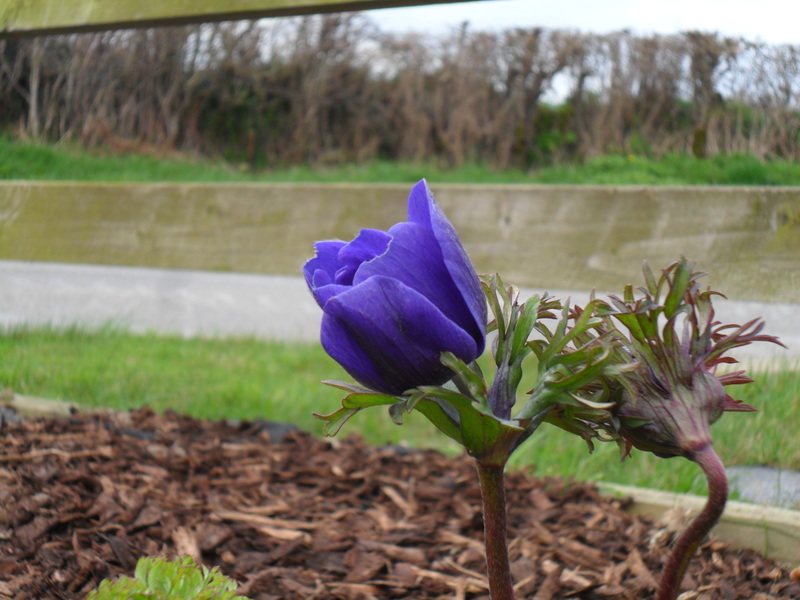 My favorite flower today, though, was the blue Anemone “Mr. Fokker”. I hope you see your favorite flower today, too! 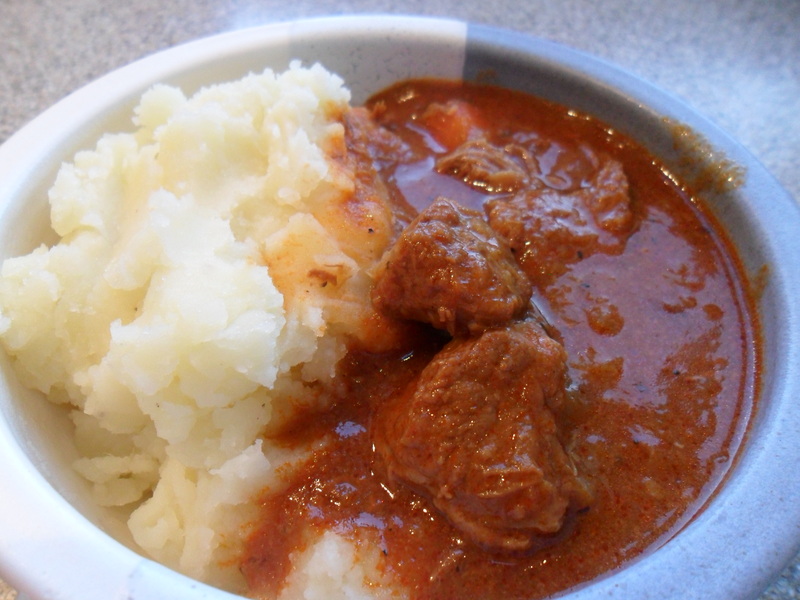 Celebrating St. Patrick’s Day with Guinness Stew. Back home, in America, everyone is Irish at this time of year! St. Patrick’s Day is a fun time, with fabulous parades, music and parties with friends. Where we lived in Syracuse, New York, the parade was three hours long! We loved seeing the Irish dancers, the pipe bands, the fire trucks, the firemen and policemen. When we moved here four years ago, we experienced some culture shock when we first attended our local parade and it was over within an hour and there were no Irish dancers!!! We did, of course, still have fun! It was just a different experience than we were used to. Instead of Irish dancers, there were hip-hop dancers, and there were scouts, and tractors, and local theater groups. Without a doubt, everyone enjoyed themselves! My husband has always enjoyed Irish cooking, even more so while living abroad. One of the first cook books he bought was Darina Allen’s Irish Traditional Cooking. This has become one of my favorite cookbooks for traditional Irish cooking. Beef & Guinness Stew is one of the tried and true recipes that we love and is easy to make. For all of my Irish, and non-Irish friends, I wish you a Happy St. Patrick’s Day! 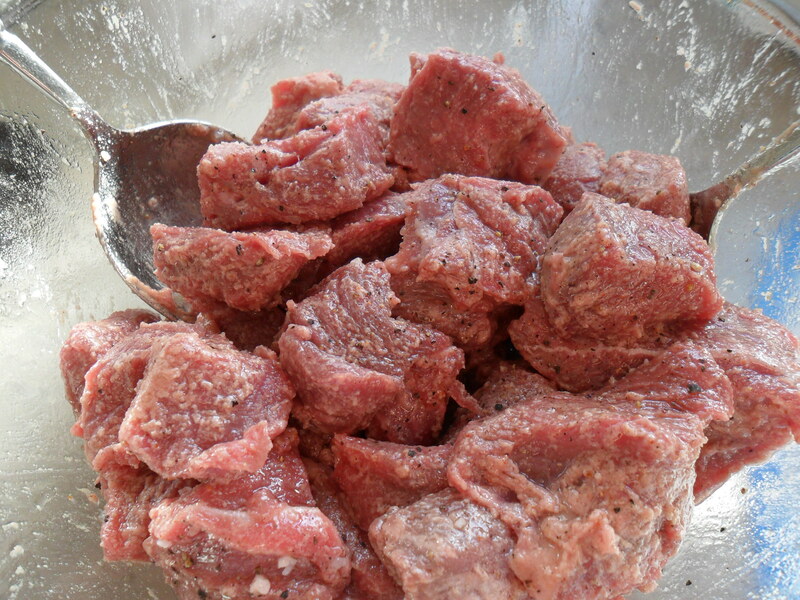 Trim the meat of any fat, cut into cubes or 2 inches (5 cm) and toss them in a bowl with 1 tablespoon oil. Season the flour with salt, freshly ground pepper and a pinch or two of cayenne. Toss the meat in this mixture. Heat the remaining oil in a wide, frying pan over a high heat. Brown the meat on all sides. 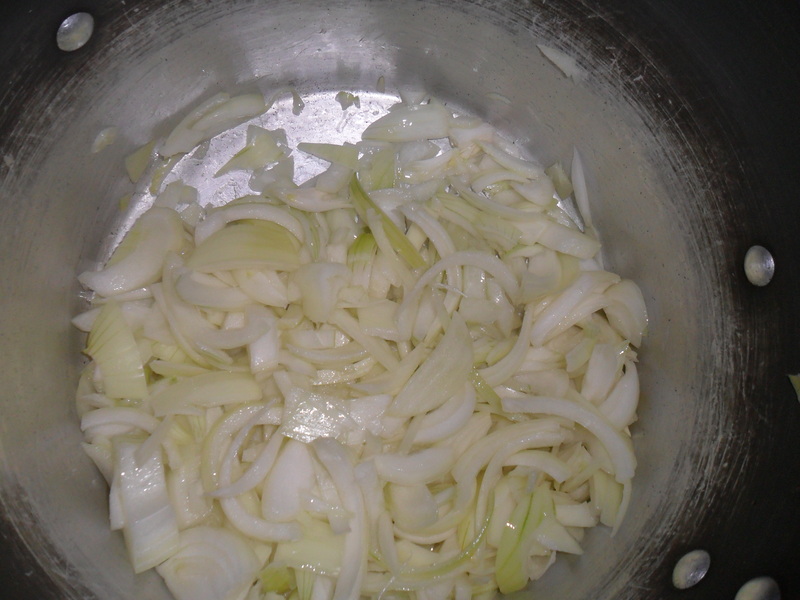 Add the onions, crushed garlic, and tomato puree to the pan, cover and cook gently for about 5 minutes. Transfer the contents of the pan to a casserole, and pour some of the Guinness into the frying pan. Bring to the boil and stir to dissolve the caramelized meat juices on the pan. 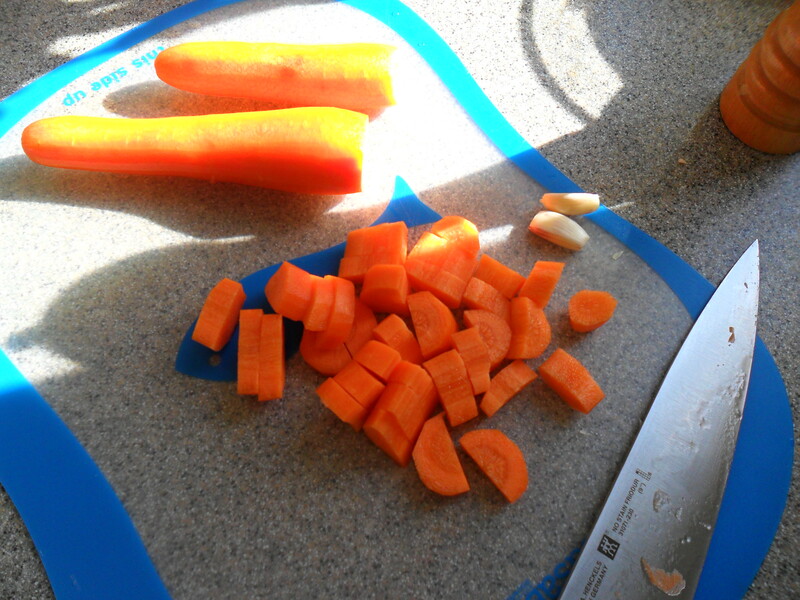 Pour on to the meat with the remaining Guinness; add the carrots and the thyme. Stir, taste, and add a little more salt if necessary. 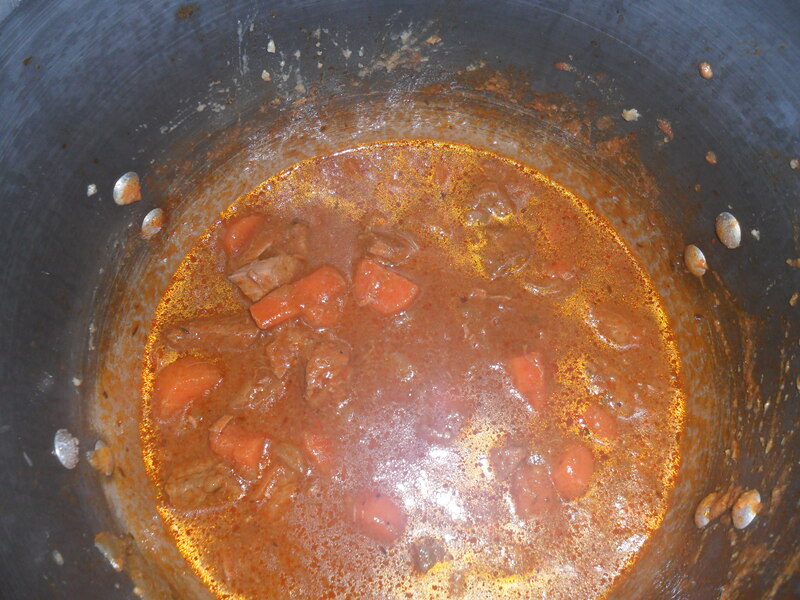 Cover with the lid of the casserole and simmer very gently until the meat is tender – 2 to 3 hours. 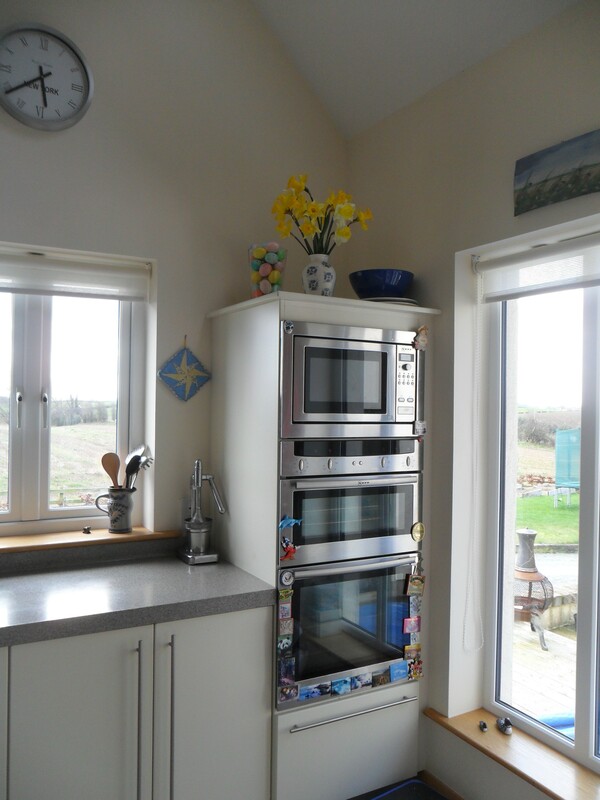 The stew may be cooked on top of the stove or in a low oven at 150 degrees C/300 degrees F/ gas mark 2. Scatter with lots of chopped parsley and serve with potatoes. Ivy, ivy everywhere! 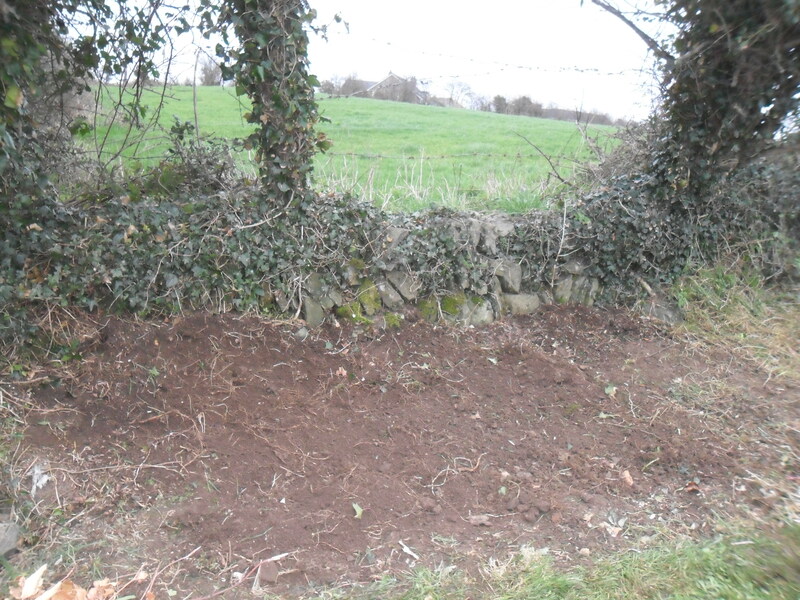 Finding a lovely little rock “ditch wall”… under the ivy. I love rock walls. It was great to discover that the house we bought had a small rock wall along one property line. 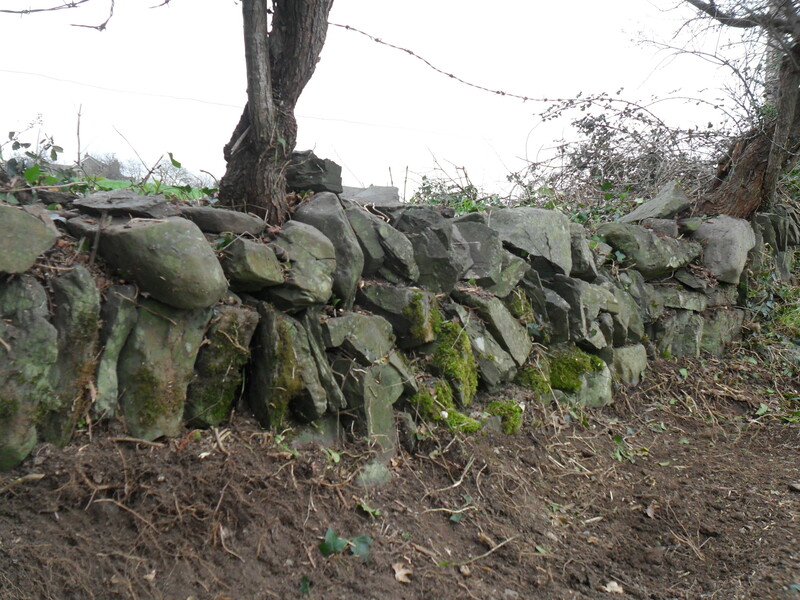 My neighbor James, that wonderful guy who gave me fantastic manure, told me it is called a ditch wall. Not a very nice name, really. To be honest, it didn’t look like much either. 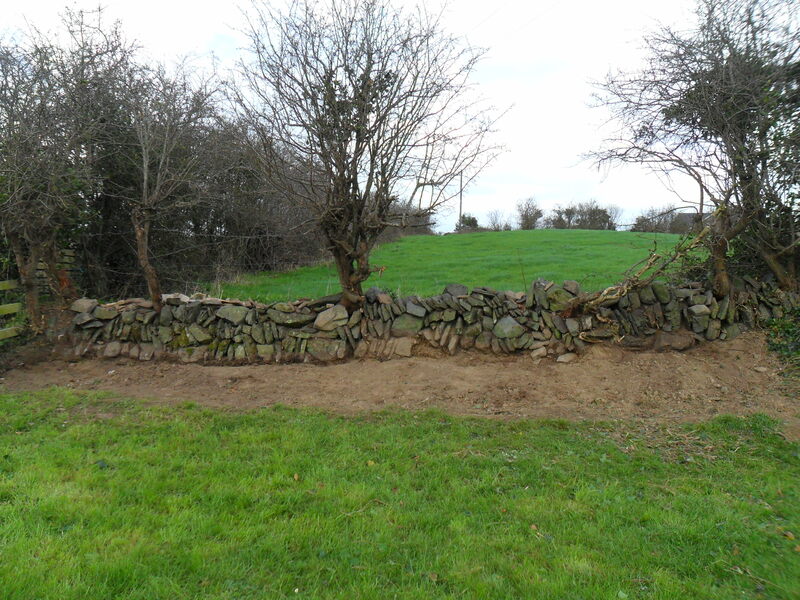 The ditch wall is part of our traditional Hawthorn tree hedging, which is very common in Ireland. The trees are planted all along the wall. 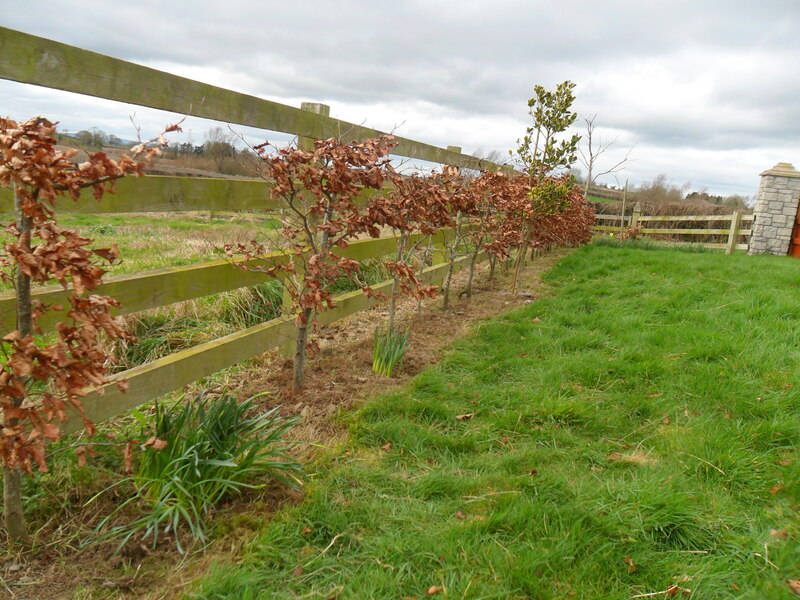 The row of Hawthorn trees are planted close together which forms a thick barrier that prevents animals from getting through. I’d say the many thorny branches help keep them away, as well. 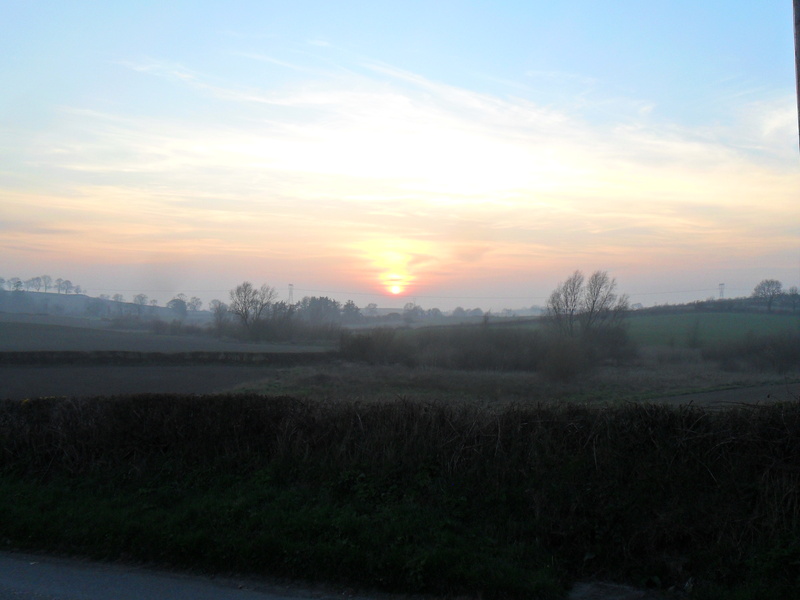 I live in an area that is still mainly fields. It is not uncommon for us to see cows on the other side of these trees. The Hawthorn is covered in 5 petaled white flowers from May through June. 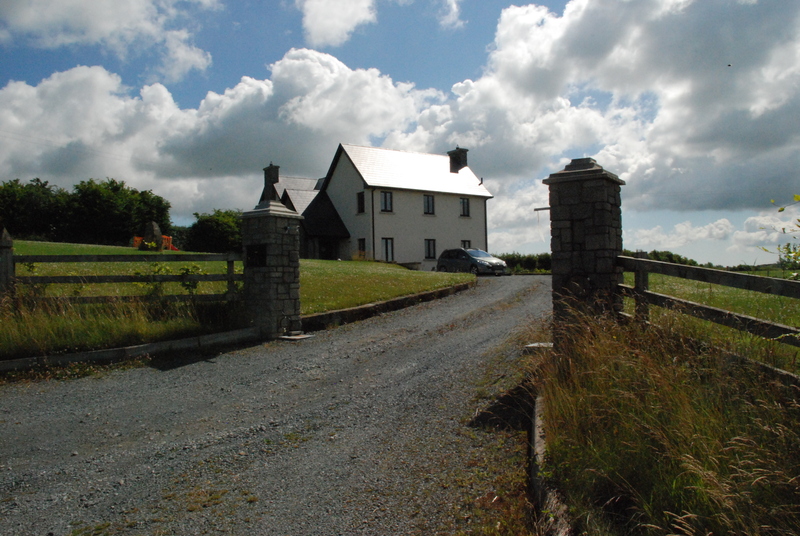 In Ireland there is a strong connection with these traditional Hawthorns and fairies. I read that it was once believed that putting a cutting of Hawthorn in your milking parlor would give you more milk and it would be creamier. 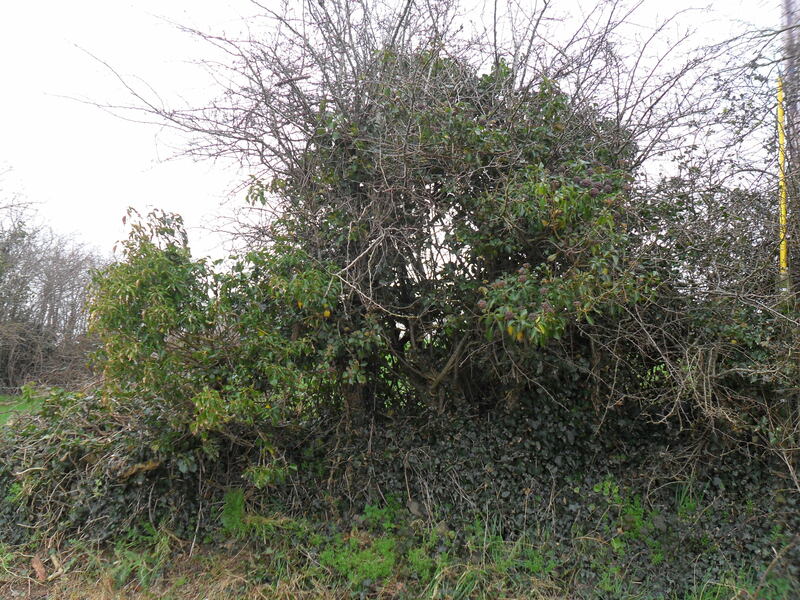 Legend also claims that bad fortune from the fairies would befall anyone who took down or damaged a Hawthorn tree. There are some very strong beliefs in fairies! 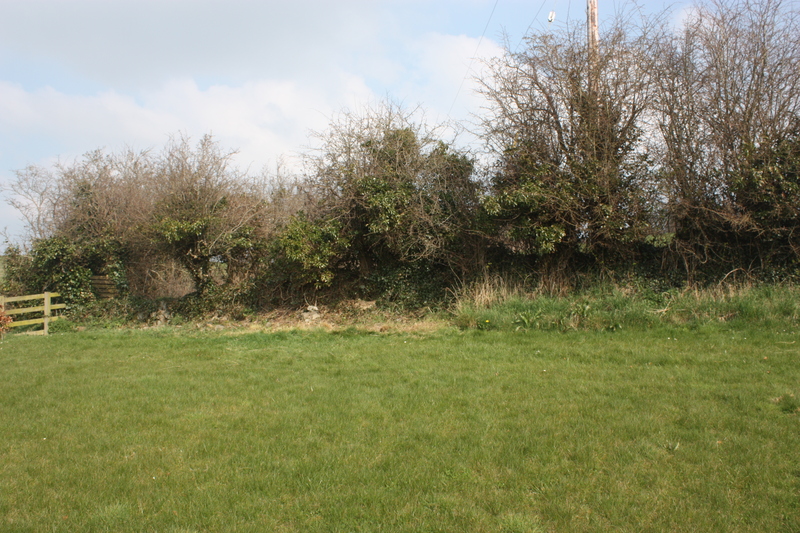 The first year here, I spent a lot of time cutting away brambles. Piles and piles of brambles. 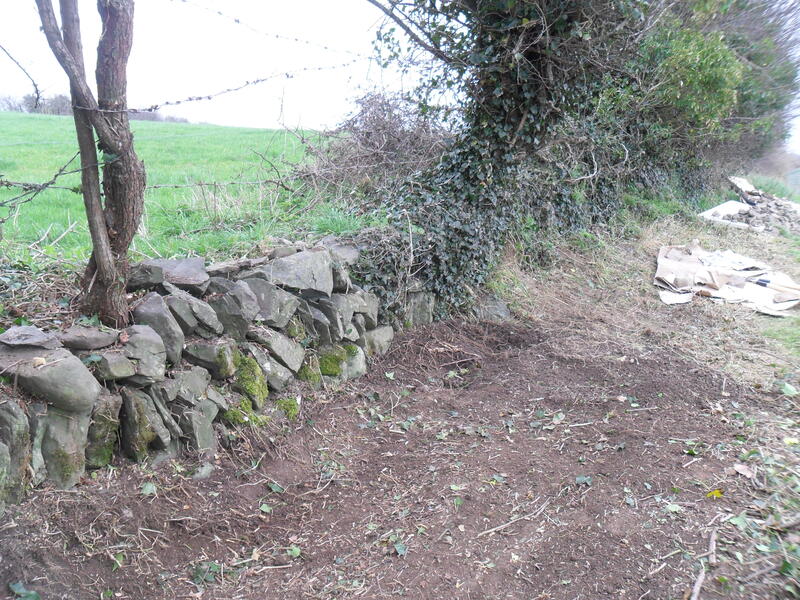 We could, sort of, make out the wall after I cleared the brambles. 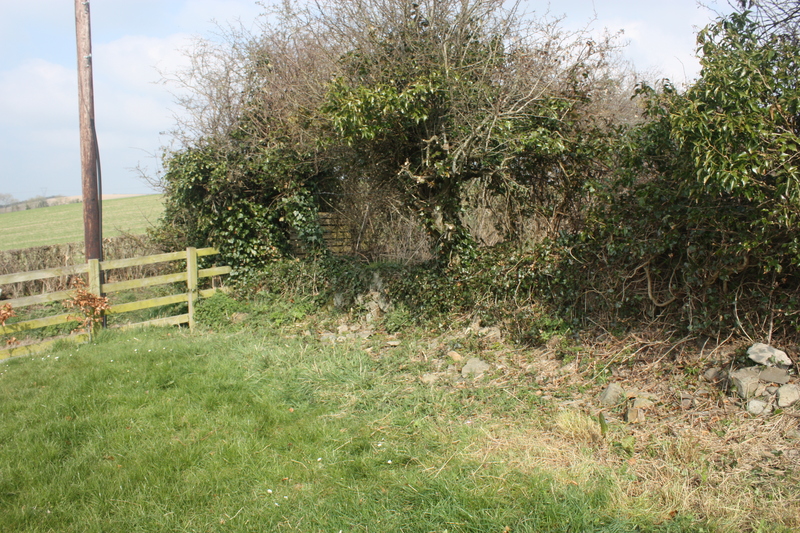 Our row of Hawthorns, and the ditch wall, are completely covered in ivy and whatever brambles that weren’t cut down last year. This year, I’ve taken on the challenge of attacking the ivy. This is quite an undertaking! Ivy can take on a life of it’s own and completely attack trees and the surrounding area. I’m taking it one step at a time. 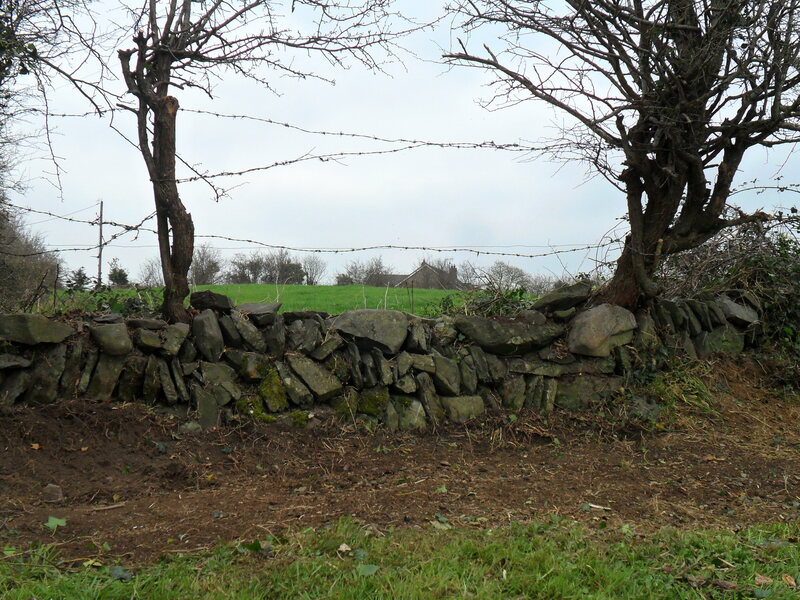 I have the eye on the prize: I want to grow wild flowers along the stone wall; the small, stone, ditch wall, that I think is just beautiful! Here are some before and after pictures so far (actually, the order of photos is more like after and then before!). Happy home-made gardening, one step at a time! Here are pictures of what I’ve done so far and what I still have to do! 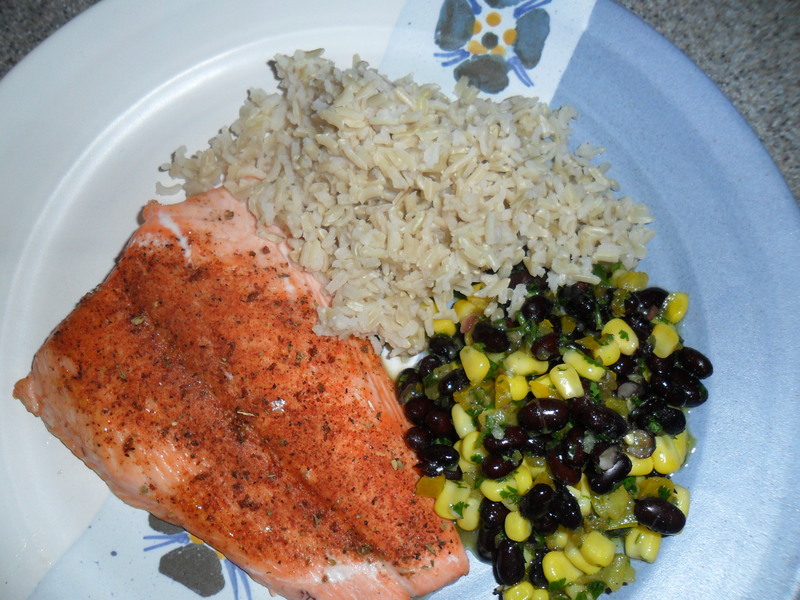 Creole seasoned salmon, spicey black bean salsa & the company of great friends. I really enjoy having friends over. It’s something I don’t do nearly enough (how do I fit that in with my husband’s and the kids’ busy schedules???). But when I do manage to make it happen, it is such a wonderful feeling! I love connecting with my friends. I wanted to make something special for our friends Catherine & Paul. It’s funny how we met them, actually. Nearly 4 years ago, they bought the house we wanted to buy! We are so glad they did though, because we would not have met them otherwise. Thankfully, we ended up finding a house much closer to my husband’s work, too. As the saying goes “it all works out”! 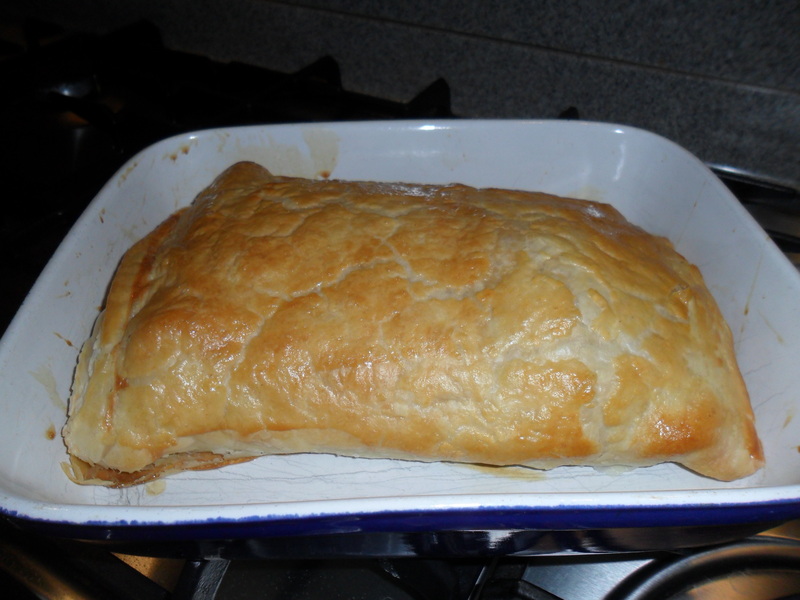 I started simple with an appetizer of brie wrapped in puff pastry. This had apricot jam in the pastry which gave it an extra (lovely) flavor. I turned to my favorite food blog for this recipe: the gourmand mom. http://thegourmandmom.com/2010/08/06/cheese-please/ I’ve tried quite a few of her recipes and they are all delicious! The salsa & salmon recipes are from Emeril Lagasse and were perfect for something a little different, yet simple to prepare (you should note a theme here!). They had enough kick to liven dinner up, but not too much, which is always my fear when using hot spices. The salsa was my favorite! The fresh lime juice, fresh cilantro (called coriander in Ireland), and the jalapeno just made the taste perfect for me. These two recipes I found on the foodnetwork.com site. They were super easy and super delicious. I hope you get the chance to enjoy some special time with friends! 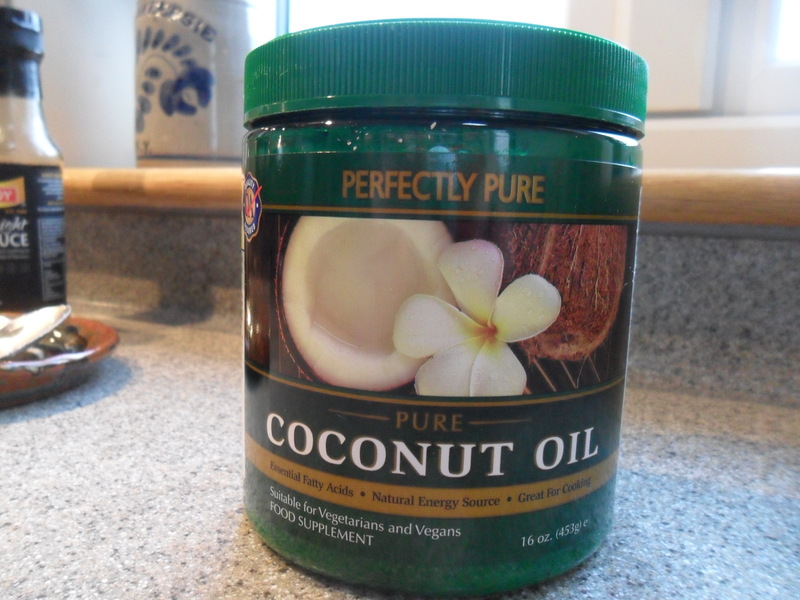 In a large bowl combine first 9 ingredients and stir to mix well. 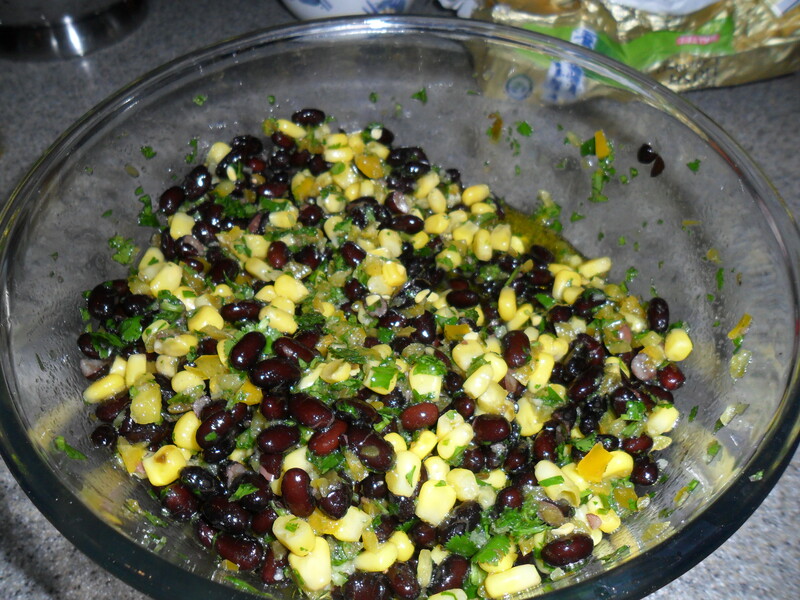 Season the black bean relish with salt and pepper, and set aside at least 1/2 hour before serving with salmon. 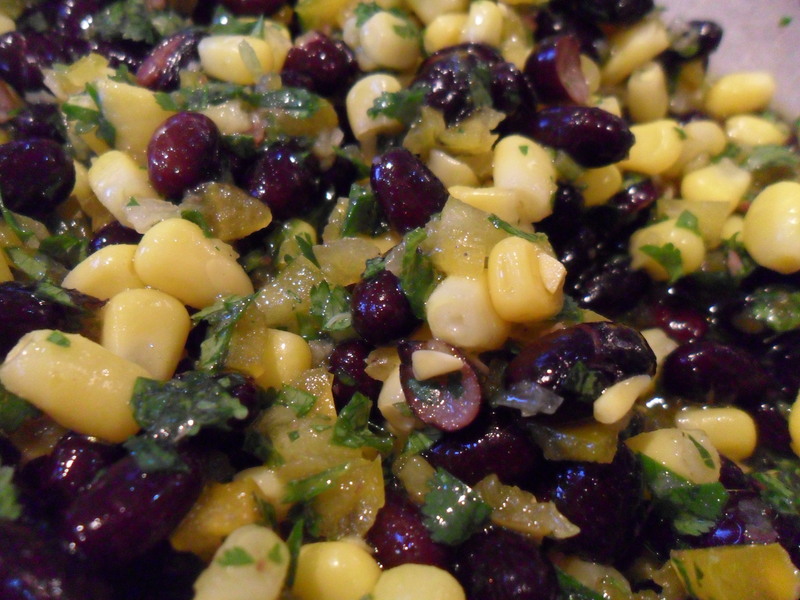 Finish the black bean relish with the chopped cilantro. Season salmon steaks with salt and pepper and dust with Essence. Recipe from New New Orleans Cooking, by Emeril Lagasse and Jessie Tirsch. Published by William and Morrow, 1993. 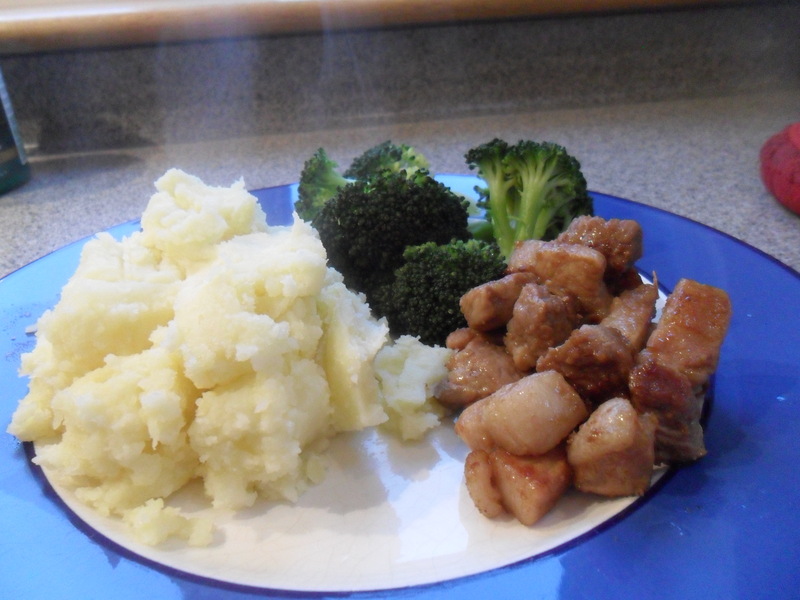 Simple pork & ginger recipe. One thing I love about Ireland is shopping at the local butcher. There are two that I always shop at; one in our village (Gus Kelly), and one in town (Tony Kieran in Dundalk). I’m a frugal kinda gal, but I just like having the butcher there for us. They are great butchers, and I like their team. It’s a personal thing. On Thursdays we have morning swimming from 6:30 A.M. to 8:00 A.M, which means a 5:00 A.M. start to our day. By dinner time, I want something quick and easy. Tonight’s dinner was just that. I used coconut oil with soy sauce to brown the cubed pork. 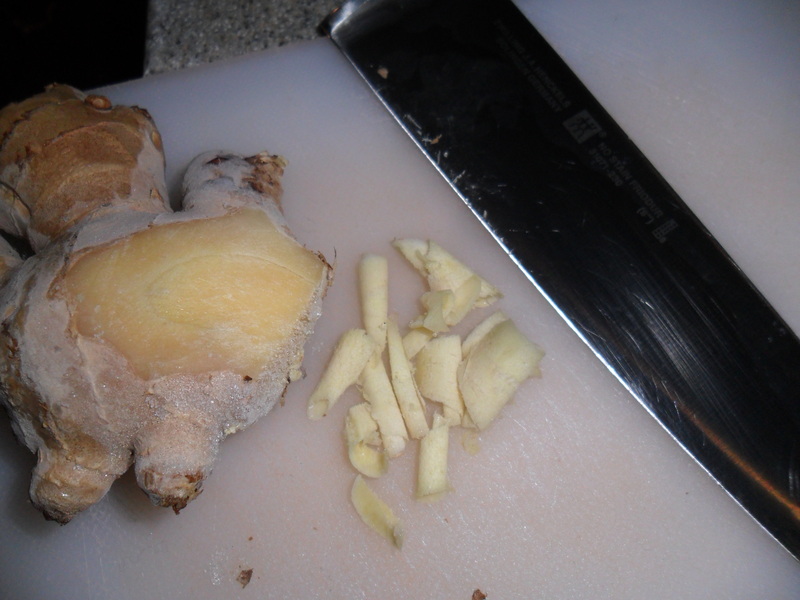 Then I shaved some ginger, that I had in the freezer, and added it with garlic to the pork. In no time I had mashed potatoes, broccoli & pork for dinner. Glad to say that everyone was happy! Happy home-made dinner to you, too! 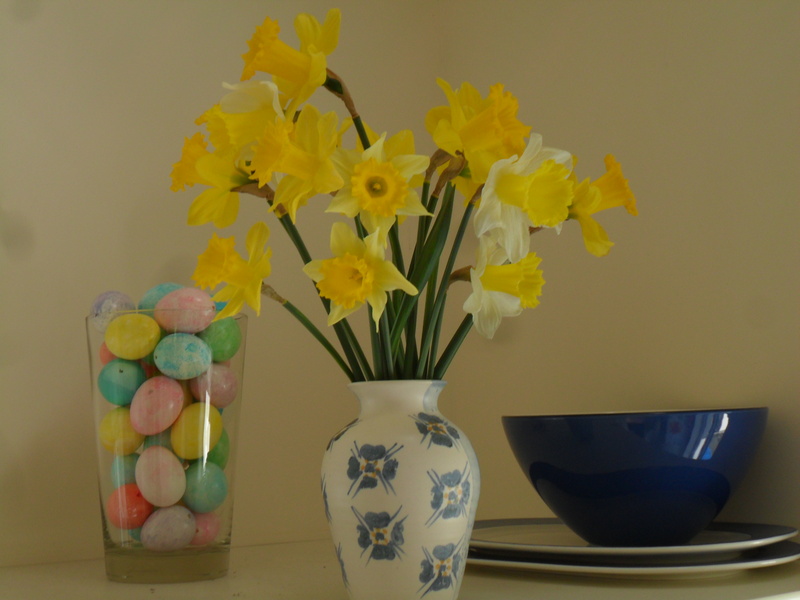 Bright and cheerful daffodils & other blessings. 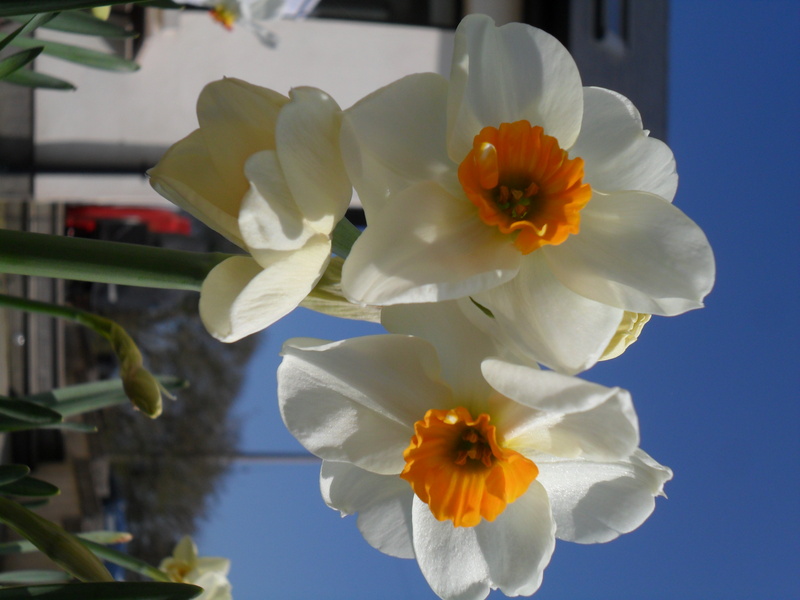 I took this picture to share my daffodils. They make me smile. 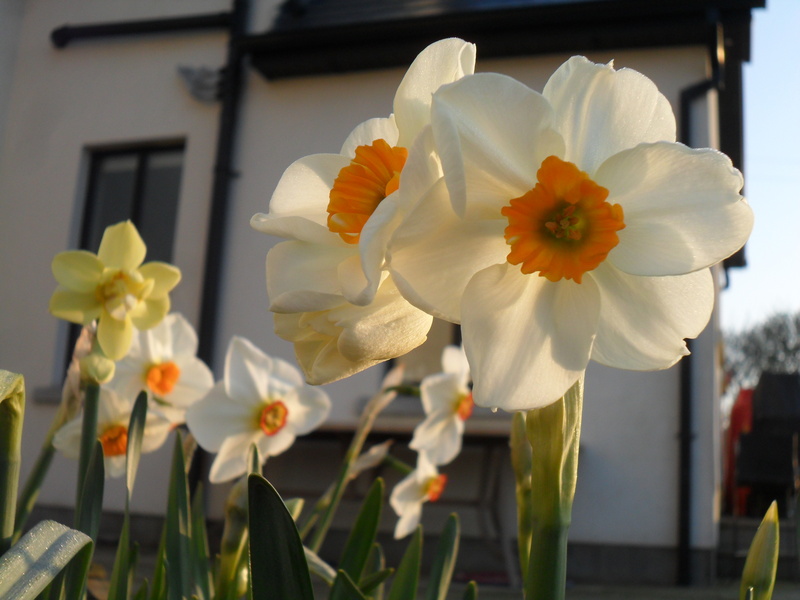 They are special to me because they are “Pat’s” daffodils. Pat is 94 years old, and a “regular” at our village’s Monday Morning Senior Tea time. He is a real gentleman and a sweetheart. I go to help out; wash-up after the tea, sit and talk with the folks, and sometimes I call out the bingo numbers. I love being with the group! Pat always brings in daffodils to give to the ladies. But Pat has not been well lately. These flowers came from his garden, per his request, but he didn’t b ring them in. So I look at them and think of sweet Pat. Then I look around my kitchen and see some other things that make me smile. 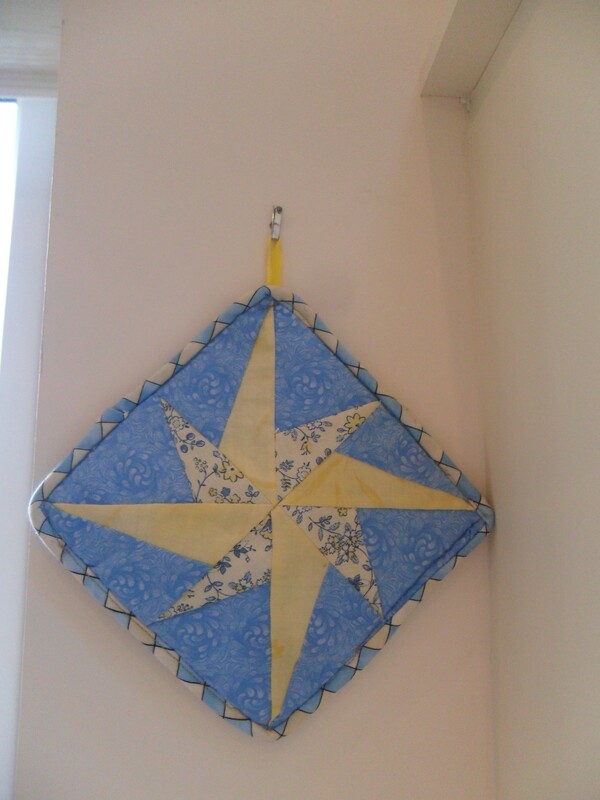 The beautiful quilted pot-holder was made by my then 80 year old neighbor. Betty is her name, and at 84 she keeps in touch with me, in between her gardening and quilting, via facebook! The pottery plate hanging above the window to the right is Highland Stoneware. 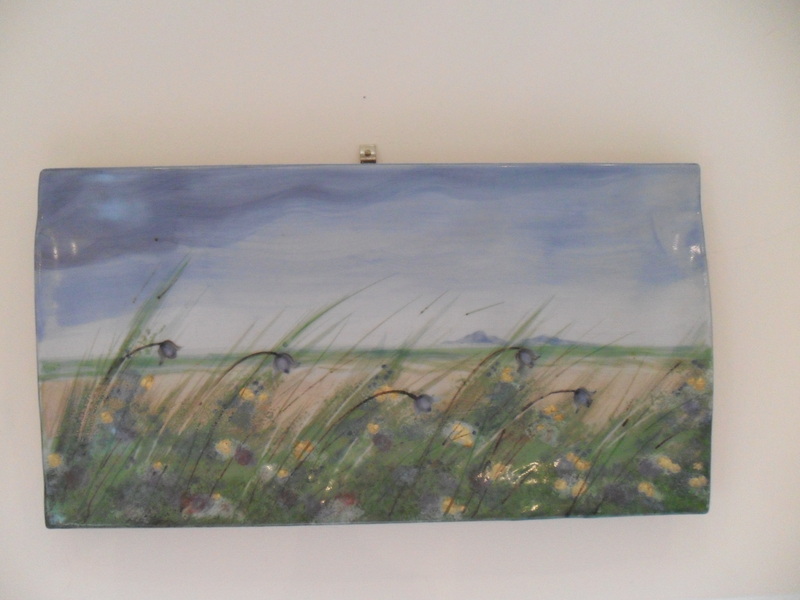 I loved the scene so much I decided to hang it instead of use it as a plate. I bought that on a get-a-way weekend to Scotland with my husband. It just so happened that 80,000 people were with us on that romantic rugby weekend! (It was brilliant and Ireland won, so all happy memories go along with that plate). This last picture was take this morning. It makes me feel so peaceful. I love it. There was a lot of rain today, but in between we had gorgeous sun. 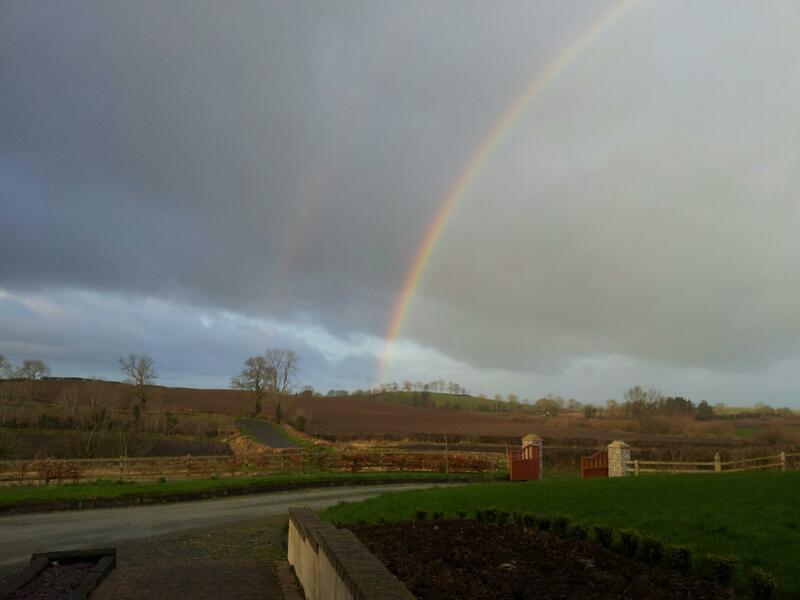 I hope you have some kind of a rainbow in your day today! 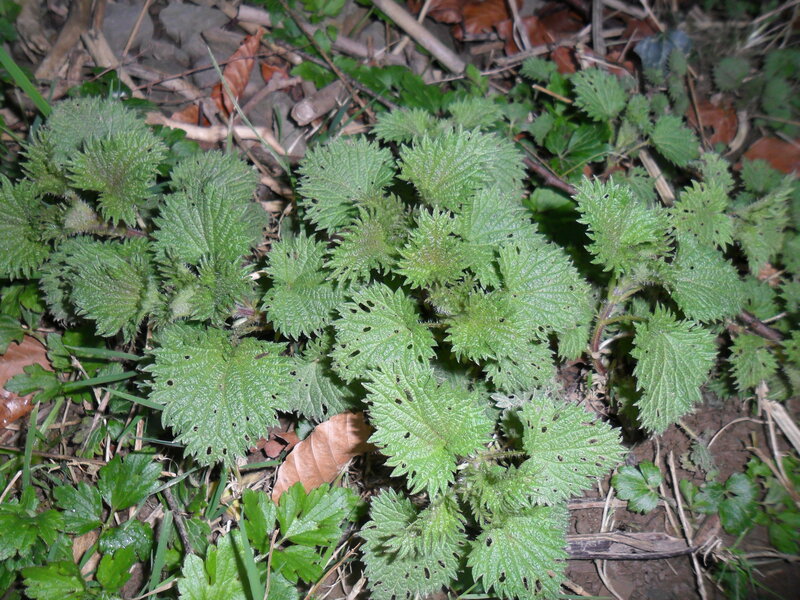 Using Nettles for liquid feed (fertilizer). I have been doing quite a bit of weeding the past week. I have to say that I am very happy that I’ve managed to avoid the many nettles along my fence-line where I’ve been working. I’m happy because they call it a “sting” when you touch them – but it pretty much hurts the entire day afterwards! I was on high alert this year to avoid being stung, after being tortured last year. Now that I’ve avoided them, and weeded all around them, it’s time to go and pull those nettles out, carefully, to use them. Nettles are a pain to touch, but they are also wonderful to have as an ingredient for making homemade liquid feed for your garden. Frugal gardening at it’s best! Free liquid fertilizer! It’s easy enough to do, too. 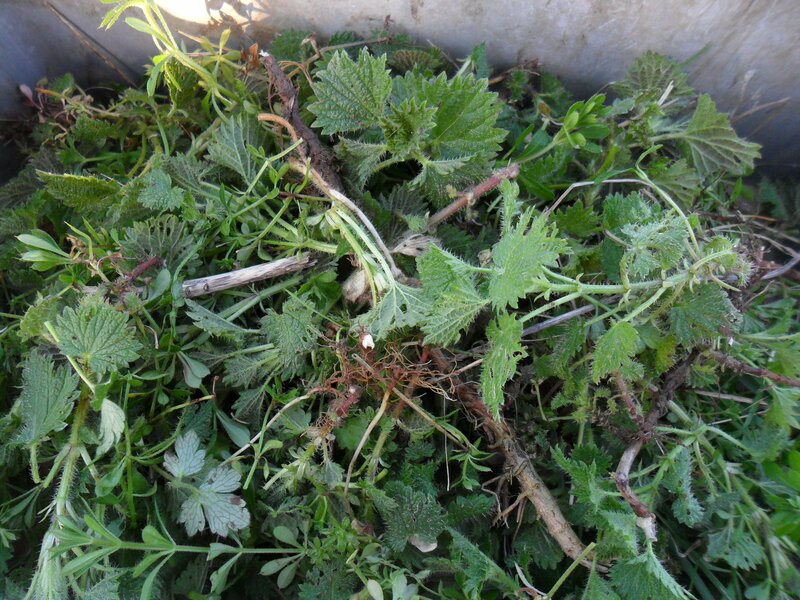 Fill a barrel/container half way with nettles, cover with water, and leave for a couple of weeks to ferment. Dilute to “weak tea consistency” (maybe they use that description because they drink so much tea in Ireland?). This should be about one part nettle to ten parts water. Spray on leaves of plants to use as a natural pesticide. 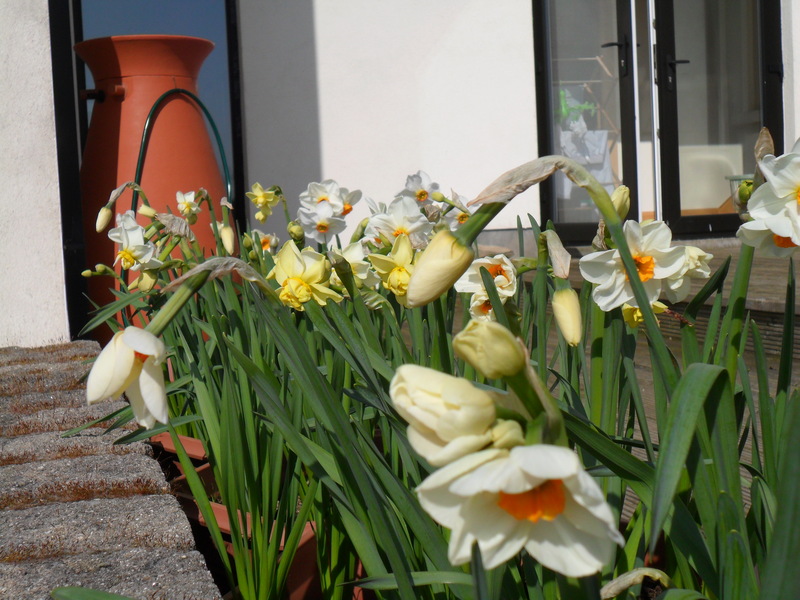 You should spray on dull, non-sunny days so as not to scorch plants. Use as a plant feed every couple of weeks. I’m going to reference Pamela Whitaker from Groundswell again. I spoke of her in a previous post. 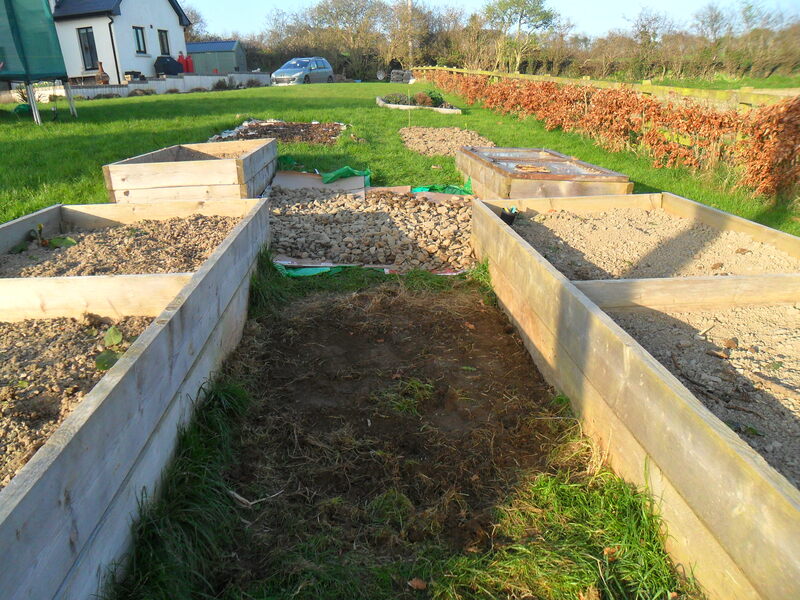 She gives wonderful Organic Gardening workshops in Carlingford, County Louth, to kids as well as adults and is overflowing with useful information. From her workshop I learned that Nettles supply nitrogen, magnesium, sulphur and iron. Sounds good! I did learn a few things through trying this last year. Be aware that this liquid feed gets stinky! Make sure you have it off to the side. I had to move mine mid-summer last year to keep the smell at bay! I’ve read of putting the nettles in a sack of some sort to avoid the mess it makes in the water, but this doesn’t bother me and I want to keep it as simple as possible. I enjoy my homemade garden. I hope you do, too! Hi and Welcome to Mom in the Garden! Click on my picture above to learn more about me. I am a mom who loves being in the garden and I enjoy sharing my experiences here. I hope you enjoy them too! Hi! I'd love for you to enter your email address to follow my blog and receive notifications of new posts by email. Good things come to those who wait … for Chickens! Lavender Wands & my first Lavender Wreath. Valentine's Day - love your family and your compost! Planting Organic Seed Potatoes (Rudolph) and watching them grow!